Centre operations and practices are inevitably recurring themes through the decades. This chapter examines the practical management and operation of centres and a range of issues that came to bear on sports centres starting from the earliest days. In Chapter 3 we summarised the range of reasons that combined to lead to a stream of local authorities providing the first sports centres. Local Government Reorganisation, planned and delivered between 1972 and 1975, had seen a surge of new centres across the UK, with around 260 centres established by 1976. We recorded earlier that the assortment of reasons for provision generally fitted a ‘build and hope’ approach to sports centres before the 1980s. Centres were the preferred and predominant local authority capital investment for a long time after Re-organisation. The assortment of reasons for building centres, and the fulfilment of their early aspirations, greatly influenced the role and work of councils and managers in the late 1960s and into the 1980s. The vast majority of centres came within the purview of local government. It was a new experience for local councils and their committees to take responsibility for these new, large civic buildings. Indeed, at the time, they were mysterious new structures with high ceilings, coloured lines and a whole world of unknown management issues. In addition to local government, a small number of the early centres, including Harlow, Folkestone, Gosling, Redbridge, Sobell and Bells, Perth were operated by charitable trusts. Interestingly, those few early trusts were a portent for major changes in the management of centres towards and into the 21st century, which is seen in later chapters. The sports centre presented new opportunities and distinct challenges for local authorities, professionally and operationally, particularly in respect of administration and finance. Although there have been many changes, these elements of running a sports centre have remained important over the years. Most of the local authority committees that initially took on responsibility for sports centres had been concerned with local amenities ranging from parks and cemeteries to allotments and public toilets and, closest to the new centres, swimming pools, theatres and civic halls. There was a whole tranche of new or different legal responsibilities and rules and regulations to address, which became more sophisticated as time went on. At the beginning this was a challenge for existing council treasurers, solicitors and other senior officers, whose experience was rooted in the local government practices of the 1950s and ‘60s. The design and operation of centres within local government democracy and administration (and bureaucracy as some would say!). The management and operation of sports centres inevitably started from a low base of knowledge and experience. The huge number of publications and reports on sports centres during the first three decades of centres did not give a lot of prominence to practical operational management. Indeed, the initial progress over the early years was largely achieved by word of mouth, meetings and seminars. The early operational focus was on the buildings themselves and programming. This is reflected in the seminar reports on centre management in the late 1960s and early 1970s, where the ‘ground -breaking’ experiences of Harlow, Bracknell, Bicester, Billingham, Basingstoke and other early centres were often to the fore. A reflection today on a report of a 1968 seminar held in Billingham would be to say – “everything was so new! So much of it we just take for granted today”. (1968 – the earliest discussions on operational management). Thereafter the wider context for the operational management of centres was provided by the local councils, the Sports Council and the Association of Recreation Managers (ARM) [see Chapter 6]. However it was the centre managers who tackled the practical issues on the ground. The Yates Report [Chapter 6] on training for recreation management in 1984 highlighted the importance of management to this quickly growing sector and heralded a growing interest within the higher education sector on centres and management development. The objectives of sports centres have underpinned their operation throughout the decades. Of course, these have changed somewhat over the years, but for a long time they were consistent with the ‘raison d’etre’ set out in Chapter 3 and elaborated upon in Chapter 6. A series of themes and topics have been selected to record centre management and operations in those early days and during the subsequent expansion of centres. These experiences have led to management and operational practices in the vast number of centres in the late 20th and early 21st centuries displaying a general level of consistency. The 12-month period leading up to the opening of a new centre is a crucial period in relation to the long-term operation of the building. Dennis Hinds, the first director of Crowtree Leisure Centre, famously said it was the period when “we can plan and get it right, before the public take over the building!” He also said much the same about management “reclaiming” the building after a few thousand users had left at the end of an evening. For many years it was considered good practice to appoint the centre manager well in advance of the first public use – and still is sometimes today – even 12 months before completion of the building. One of the management challenges at the time was ensuring enough lead-in time for training and systems testing from completion of the building to opening the doors to the public, despite Councils being keen to open their shiny new centres as soon as possible. 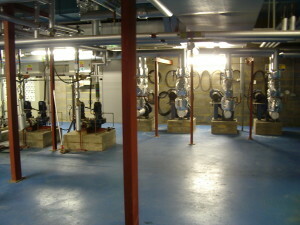 During the pre-opening period managers needed to develop a lead-in plan embracing staff recruitment as well as the multifarious staffing issues; training; health and safety procedures; marketing; bookings, ticketing and finance systems, programme planning and opening hours, equipment specification, purchase, sales, storage and so on. Training was essential as first impressions were important as the public did not know what to expect of these new buildings and opportunities. Today the processes have changed as trusts, local and national, have the necessary experience from other centres and are often contracted in advance, sometimes at the same time as the building contract is let. This does, however, still allow the option to identify a specific manager early on. In ARM News as early as 1973, Roger Quinton, then Recreation Manager at Picketts Lock, wrote about planning the opening of a centre. He focused on staff; administration; the ‘opening’; the building; and usage. With regard to planning opening hours, the ‘open all hours’ approach for sports centres was not characteristic of all local government functions. There was the long experience of swimming pools, but the new more complex centres adopted longer hours, especially in the evenings to reflect demand. A review of the names of sports centres over the years reveals a variety and much consistency! Most of the first centres opted to use the name of the town (or in some cases the district council) and that has remained strongly consistent over the years. 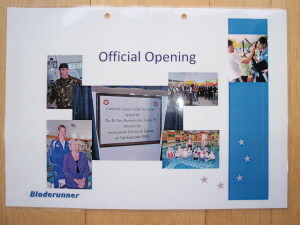 Some started at the planning stage with one name and changed for branding reasons before opening – Fetcham Grove Sports Centre became Leatherhead Leisure Centre before opening in 1975. 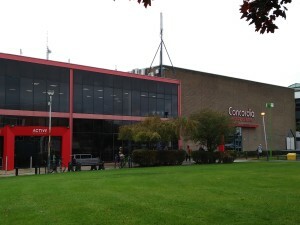 The vast majority have used ‘sports centre’, sometimes ‘recreation centre’, and as changes in facilities came along, ‘leisure centre’. Throughout the decades there have been some exceptions to these basic rules, starting with the first – Harlow Sportcentre and Afan Lido. However a variety of other descriptive words have been used for some centres – including ‘Forum’ for Billingham and Wythenshawe. Occasionally a more specific geographical location has been used, for example Eaton Park Leisure Centre in Norwich and Moss Side in Manchester. The name of a person has also been used in some nomenclatures. 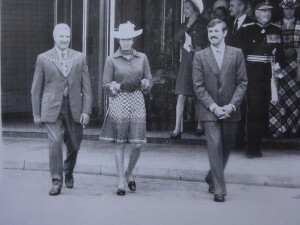 One of the most high-profile namings was the Queen Mother Sports Centre in Westminster, built in 1981. Others included – Lightfoot (retiring Director of Education in Newcastle); Kelsey Kerridge (Alderman of Cambridge); Sobell (London and Aberdare – sponsor Sir Michael Sobell); (Major) Christie Miller, Melksham; (Councillor) George Carnall in Urmston, and even Richard Dunn, Bradford (named after a local British boxing champion who valiantly fought Muhammad Ali for the world heavyweight title in 1976). 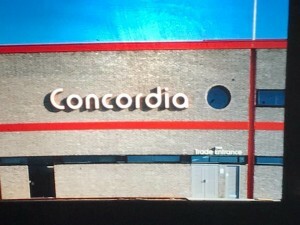 Concordia Leisure Centre in Cramlington was named as a response to disputes about the distribution of resources across the district, and the architects saying ‘Cramlington’ was too long to go on the building! Guernsey, where the local holiday trade mattered most, gave us Beau Sejour. Other titles have included The Spectrum (Guildford), The Triangle (Burgess Hill) and more recently The Hive (Ely). It has also not been uncommon to run a local naming competition. Many managers have learnt that one rule is not to be committed to accepting even the ‘winner’! (witness the naming competition for the eventual Antarctic ship ‘Sir David Attenborough’). In 2014 residents in Selby were invited to name their new centre to succeed the old Selby Sports Centre – and the winning nomination was – Selby Leisure Centre! One of the big occasions for new centres is the Official Opening. These have sometimes been held up to a year after becoming operational in order to ensure the ‘right person’ is available, with royalty often popular, if possible. Unusually, The Sobell Centre in Islington was officially opened by the Duke of Edinburgh in 1973 and closed a day later for building completion! Official openings, though special occasions, nonetheless vary in the degree of importance attached to them. A very wide range of people have been invited to open centres. 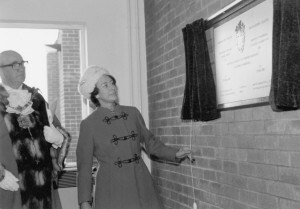 Some have been local affairs, with the Mayor or Chairman of the Council opening the centre. The most well-known over the years have been royalty, Ministers and sports stars. A competition could be organised to identify the member of the Royal Family who has opened the most centres. From the Project records it seems that Princess Anne is winning, although the Queen set the ball rolling in 1965 by opening Afan Lido in Wales, then Billingham Forum in 1967. Princess Anne’s role started by opening Bellahouston in 1968 and has continued through the 70s (Huddersfield 1973 and Kelsey Kerridge and Harrow, both 1975) and into the 21st Century (Birmingham University 2018). 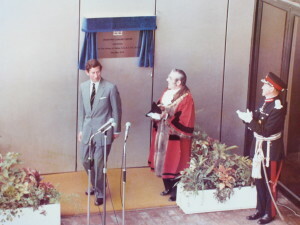 The Duke of Edinburgh (with Prince Charles) opened Basingstoke Sports Centre in 1970, The Queen and Prince Philip opened Concordia in 1977 and Prince Charles opened the Great Aycliffe and Crowtree centres in 1978. 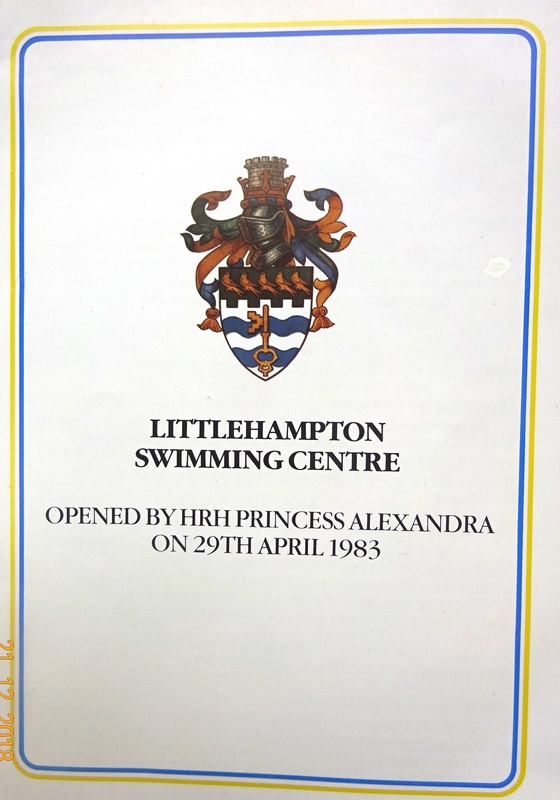 Princess Margaret opened Colwyn Leisure Centre in 1981 and Princess Alexandra performed the ceremony at Littlehampton in 1983. (A manager’s view of Concordia’s royal opening). 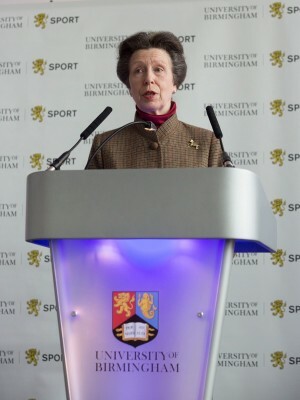 Denis Howell, the famous Minister for Sport, opened the then new Birmingham University Sports Centre in 1965 and Carlisle’s converted drill hall in 1969, and other Ministers of Sport performed such ceremonies over the years. 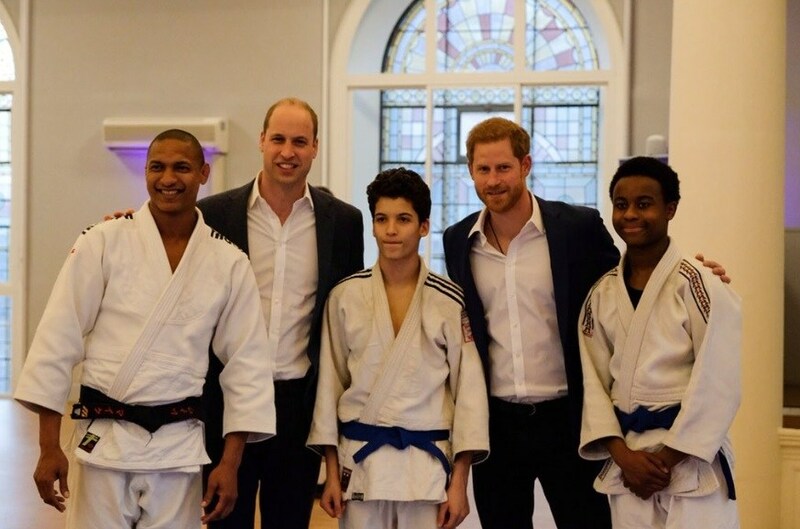 Honoured Olympic champions have also been popular VIPs, including Duncan Goodhew MBE (Saxon Centre, Beds, 1997); Lord Seb Coe (K2, Crawley 2006); Sir Matthew Pinsent (Priory SC Lincoln 2013); Sally Gunnell OBE (Phoenix Academy, Telford 2014) and Rebecca Adlington OBE (Kidderminster LC 2016). Football personalities have ranged from Sir Stanley Rous of the FA (Harlow 1964) to Bobby Charlton CBE (MMU Chester 2010). View nine official opening pictures below, left to right, click to enlarge and for captions. The planning and design of purpose-built public centres for indoor sports for the first time meant some degree of experimentation regarding which sports were best accommodated. The existing European sports halls and older UK military sports halls provided some lead for the likes of basketball and volleyball. The first managers planning the use of the sports hall had to consider what sports to include and the equipment therefore to provide. Inevitably the attempts to provide for a range of sports in one facility led to some compromises, some of which were to prove unfortunate. The first compromise was found in the method of marking the courts. Providing a layout to embrace, basketball, tennis, five a side football, volleyball, badminton etc. 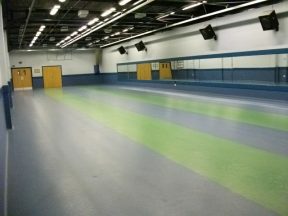 inevitably led to a maze of lines in the sports halls which, although colour differentiation was made, provided a confusing matrix of lines on the floors. Sometimes these were built into the flooring which meant that their removal or replacement presented even more difficulties. Indeed, some of the managers had to choose a line colour scheme and get sore knees from installing the taped lines themselves! It was not long before sports hall specifications picked up these matters and they came with the building. Equally the wall colour was a choice that, sometimes, involved managers if present during the pre-opening construction phase. All this was before architectural experience and governing body guidelines, and then later sophisticated guidelines published by The Sports Council/Sport England, made most of these development processes standardised and routine. The sports that have been the main beneficiaries of sports halls have been badminton, five-a-side football, basketball and gymnastics, and to a lesser extent netball and volleyball. The halls were especially a boon for badminton, previously largely confined to church halls and the like, and rarely with regulation height and floor space. Indoor five-a-side football arrived with a bang, given little or no previous public indoor facilities. 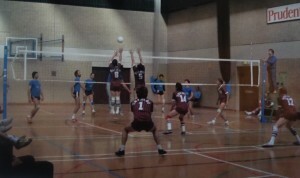 Basketball, volleyball and netball also benefited enormously from the full-size courts, as opposed to confined school gyms. Large-scale classes for martial arts and keep-fit were also common, especially where large halls could be subdivided. Again, in the first decade, if the manager was appointed early enough to be involved in some of the design practicalities (or a little later was a department director) he or she could influence some sport specific aspects of the hall. For example, as Director of Leisure for Salford, former teacher Jeff Rowlands started handball there with his first club (Salford). He had also founded The British Handball Association in Liverpool in 1967. Sports halls in Salford were built to unusual specifications in length and breadth to fit his love of handball! Basketball similarly benefited from the interest and enthusiasm for and promotion of the sport by Bernard Warden at Bracknell and Geoff Gearing at Deeside. 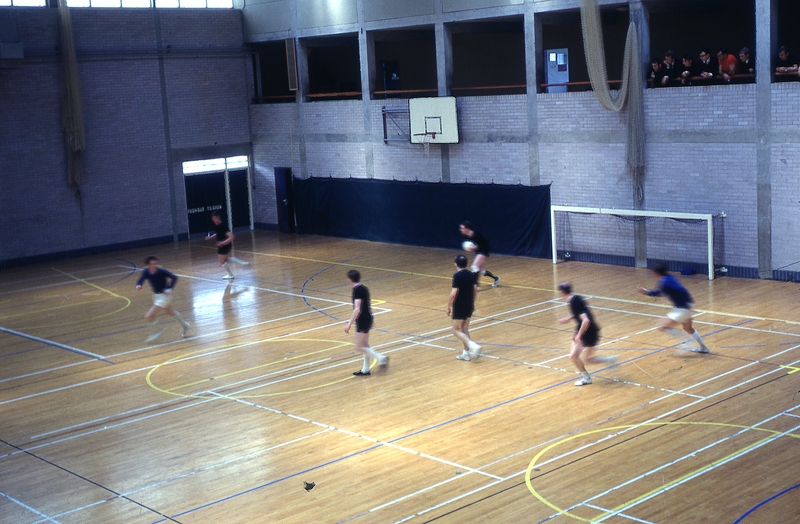 Later, other examples of customising halls for particular sports were found at Haslemere, East Grinstead and Hastings, where the sports halls were designed to particularly accommodate indoor hockey. However, in practice, usage did not always fully justify these adaptations. 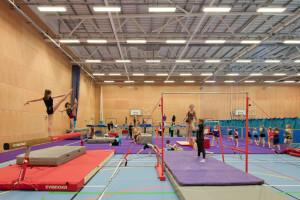 View four Harlow sports hall activity pictures below, left to right, click to enlarge and for captions. 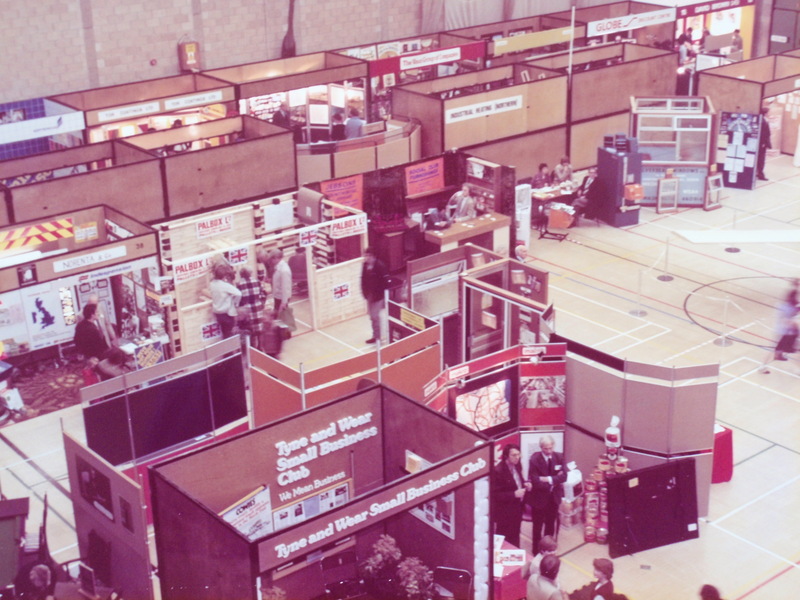 Gradually sports halls became more sophisticated and companies such as Nissen, Powersport and Continental Sports saw the business available as centres blossomed all over the country. Netting trackways could be custom designed and equipment easier to handle and store. The large centres also wanted portable folding seating for spectator events and Audience Systems provided a high-quality solution. Perhaps it is difficult to comprehend in the 21st century, but clothes storage in changing accommodation was a big issue, even up to the late 1970s. A system of ‘open hanging baskets’ was well established and well embedded in indoor and outdoor swimming pool history over many years. Problems of theft and vandalism could also occur in un-manned changing rooms if lockers were less secure. As new sports centres were established a more ‘secure’ system of modern lockers became an option, with companies such as Helmsman providing stainless lockers with a pay or coin return mechanism. Although the discussion on the issue continued into the late 1970s (see ARM News articles of 1977), it was only some new sports centres built beside old swimming pools that continued in the short-term with baskets. By the mid-1970s all new indoor sports centres with halls were using locker systems. It is difficult now to understand that at times the issue of ‘baskets and lockers’ was highly controversial and emotive! At one stage in the 1980s, the size of lockers became an issue as it was thought that lockers would become more expensive to provide as they would have to get bigger, offering more appropriate hanging space and better security. Apart from centres catering for lunchtime office workers, that has not proved to be the case today as people have become quite happy to move around the streets in their sports gear and there seems to be some reluctance to use public shower facilities or even open-plan changing rooms. Small lockers with high security for phones and other valuables seem now to be more important. Open ‘wet’ changing rooms for swimming pools, known as changing ‘villages’, was a development from the mid-1970s. The advent of these unisex changing ‘villages’ became a common space-saving design feature. They were an architect-led approach, rather than management-led, and they created endless discussion within the TUS at the time. It did not come without its management problems, as sadly even drills were brought in by a few customers to bore holes in the sides of cubicles! Changing ‘villages’ are now very common but are not popular with some users, particularly because of the mix of genders and the behaviour of some users. It has ever been the case that technical issues have been to the fore in operating a leisure centre. Of course, swimming pool managers, usually members of the Institute of Baths Managers (IBM, later IBRM) were already well established on the local government scene, given the long history of pools back to Victorian times. From the first indoor sports centres, if there was a swimming pool, technical management was a very important issue. Some swimming pool managers were appointed as managers of new sports centres if the centre had a pool. Often the indoor sports hall emphasis led to sports experience predominating in manager appointments (particularly from physical education and the armed forces). 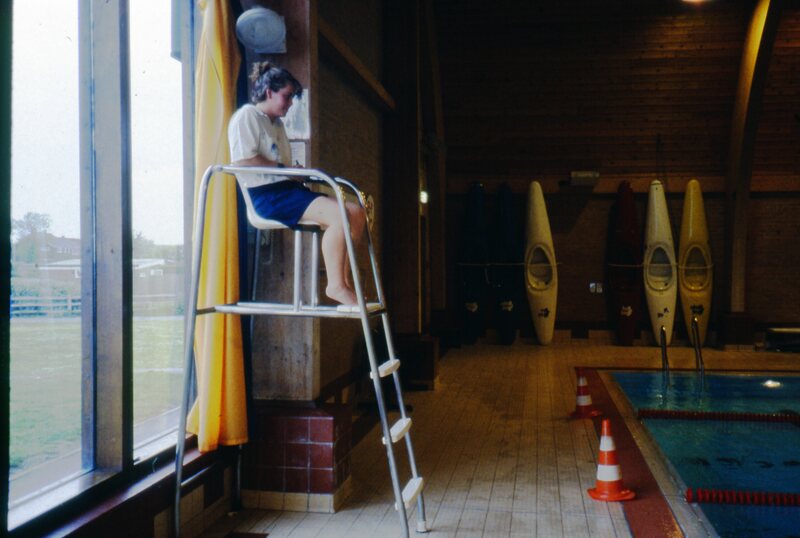 Pool purification and monitoring was a vital element of public safety. 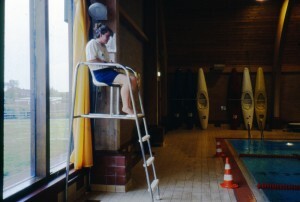 Since the new ‘sports based’ manager usually had limited experience of pool management, the appointment of a qualified pool manager, with the necessary technical expertise, to the management team was usually considered essential. Most centres of any size require some in-house technical expertise for minor maintenance and repairs. In the 1980s many centres were reliant on their Council’s “in house” building maintenance departments. This could often lead to frustrations, as delays in dealing with electrical failures or blocked toilets, especially at the weekend, could have a significant impact on customers and income. 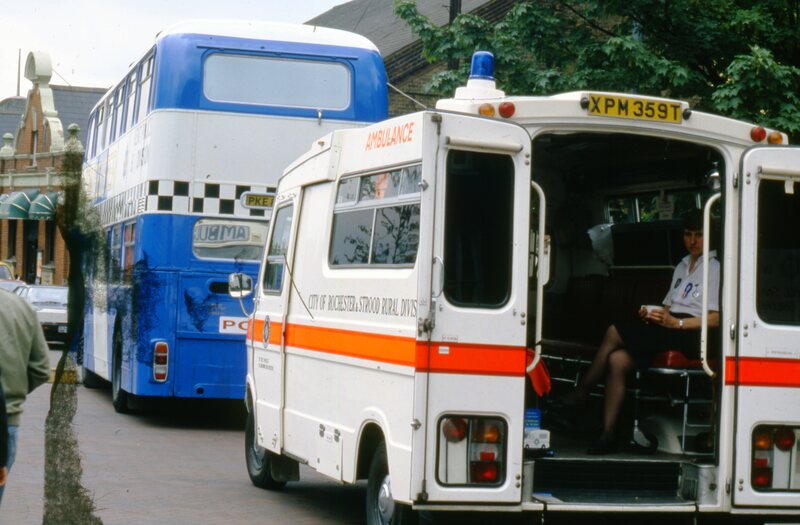 Service teams could often be slow to react to what managers would regard as “emergencies.” By the mid-1970s many large centres had already taken direct control of all but the complex and specialist maintenance work. In the 1990s after Compulsory Competitive Tendering (CCT) many centres followed that pattern and became more independent of council maintenance departments. However increasingly sophisticated pool water systems, and electrical and air handling, heating and ventilation systems have led to heavy reliance on maintenance contracts with the installation companies. Nonetheless, in today’s high-tech scenario, the ability to attend to technical and even emergency situations with some form of on-site response remains important. No other sport matched the meteoric rise of sports centres in the 1970s and ‘80s than the game of squash. Courts previously existed either as stand-alone buildings or as a block of courts, frequently in conjunction with sports such as tennis, cricket, and hockey, as part of a multi-sport members club. All that changed dramatically in the 1970s when multi sports centres were being built for community use and included squash courts. 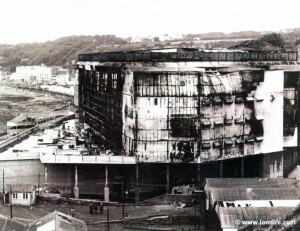 The growth of squash, allied to the construction of courts, was sensational in the late 1970s and early 1980s. Even glass-backed courts arrived for spectating, with world champion Jonah Barrington touring with exhibition matches. There was certainly a ‘fever’ about squash in the 1970s. 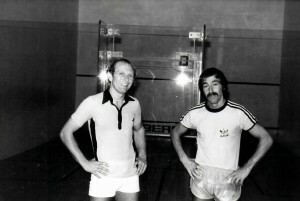 When Denis Secher (The Story of Squash) joined Redbridge Sports Centre in 1977 it had 4 courts. 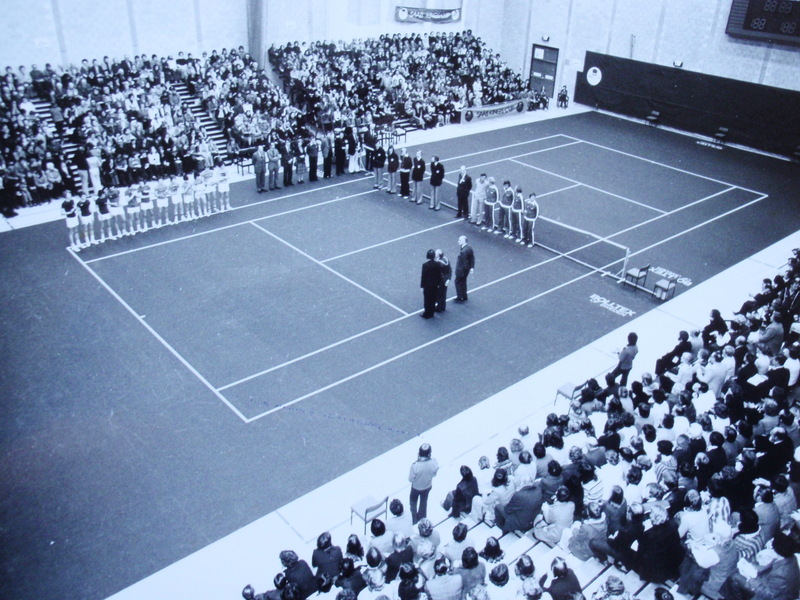 Due to demand, a 5th court was added in 1977 and in 1980 a further 2 glass backed courts were added. This demand-led construction pattern was typical (see also Lancaster University – Chapter 2). In Essex in 1965, Denis quotes that there was a total of 13 courts. By 1978 there were 287! Very quickly the challenge, as a manager, was not how to market the squash facility (except at very off-peak times), it was how to create a booking system that the membership perceived as fair. Redbridge ended up with 2 courts available to be booked by phone each day at 9.30am 6 days in advance; and 2 courts available for booking in person from 7.30 in the evening 6 days in advance. Some centres operated a strict rotation – 1 phone booking followed by a booking in person in reception – and demand was so high that there were various attempts to circumvent the arrangements! (The Operation of Squash Courts – a survey by John Knowles in the North West). Developing league structures became popular and a source of great interest in each centre. As sports centres have changed and evolved in so many ways, the sport of squash has also had to react and change. 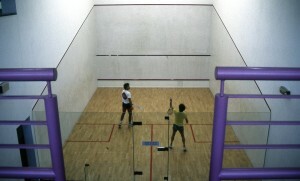 Squash, at its height, was an ideal, time-focused activity for fitness. Indeed, by 1978, the number of squash participants (2.4m) exceeded those in sailing, cricket, golf and football! [source BMTB Target Group Index/ARM News]. However, squash gradually fell out of favour as fitness gyms arrived and expanded. Only a fraction of the courts remains, and ironically many have been converted to fitness gyms. Whilst it still has a part to play as a specialist sport, particularly in universities, we are unlikely ever to see a return to those “heady” days of the ‘70s and ‘80s. It has become custom and practice for operational plans covering all systems and procedures of a centre to broadly cover health & safety; staff arrangements including training; financial control and economy of the operation and all aspects of customer service and satisfaction. Of course, centre procedures are a 2-way street; and need to be sufficiently flexible to work for both centre staff and customers, and certainly need to be kept under regular review – they are not set in stone nor are they a way to simply enforce rules at any cost, unless safety is at issue. Procedures and associated aspects of a centre became increasingly important as centres became larger, more sophisticated and complex. A good example was provided at Crowtree. It placed immense importance on agreed and documented procedures. From ‘day 1’ they were constantly recorded, developed and amended. Six duty officers across the three staff shifts were responsible for day to day operations, reporting to a duty manager. They held duplicate books and recorded and submitted on all important issues, including procedural matters for review. The centre was such a vast operation, staffed inside and outside 24 hours a day, that the recorded procedures provided an immediate reference point on all operational matters. After 5 years they amounted to a very thick document providing easy reference to all aspects of the operation. Programming and booking systems are fundamental to the service a centre provides and were amongst the highly debated issues relating to public recreation facilities over the early years, alongside the use of membership schemes. The principles and practices of sports centre programming have changed markedly over the years. The first 20 years of centre programming was heavily influenced by the original sporting and social aims of centre provision. It was certainly a complicated challenge for centre managers working with council committees, clubs, centre members, the public and sometimes the press! The facility, programming and service management challenges presented to the pioneering centres were both original and interesting. Harlow had originally led the way from 1964 with its great emphasis on wide public participation, especially with sports coaching (and the subsequent development of clubs) and casual play. This approach particularly reflected the previous absence of any indoor facilities and the need to build up participation in all sport, especially indoors. World famous coaches and clubs emerged from those Harlow initiatives (notably Mitch Fenner – gymnastics and Jack Kelly – trampolining). Harlow was also successful in those days with large keep fit classes in the sports hall. 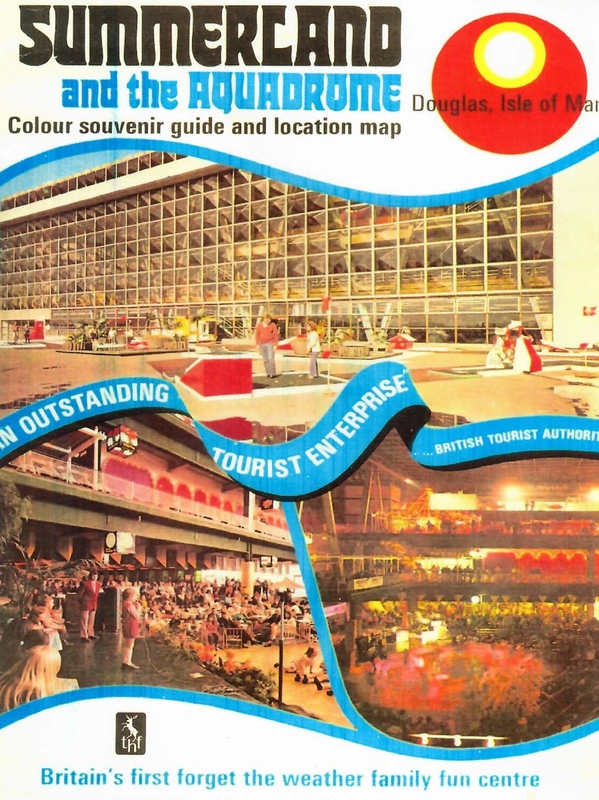 The Harlow template was well used over the next decade – not surprisingly as so many of those who were planning centres from 1965-1974 visited Harlow. There were of course programming compromises to be made in terms of throughput. If the hall was being used for tennis this might mean as few as two people playing. 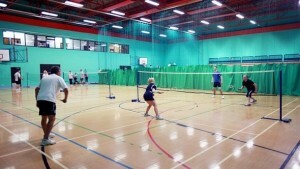 Whereas the use of the same space for four badminton courts, might provide a through put of 16 or more players. It was unsurprising that in early days badminton became a major user of these new facilities, not least because it was popular for adult fitness. An indication of the challenges was that badminton and 5-a-side football were so popular that, in the first 20 years of sports centres, halls could be filled with just those games all evening and weekend and still leave unmet demand for the two activities. A further factor in the first 15 years of centres was the pressure from local groups and sports clubs to make bookings, especially badminton clubs, attracted by the new facilities compared to the various minor halls they were using. The real challenge was to balance the demands for bookings by both centre members and non-members for ‘pay and play’ with the sports club bookings, coaching courses and special events. Within that there were balances to be achieved between individual sports. Some centres also worked to a Committee-agreed percentage balance between club and casual bookings. Booking systems then did not have the benefit of computers, the internet or mobile phones and all bookings had to made either physically in person or over an analogue phone line with a limited number of phone lines into centres and reception staff dealing with all enquiries and payments. Young people today may not appreciate what it was like to work with paper-based/magnetic booking sheets/boards and systems, and not to have computers, the internet or other sophisticated technology. Tennis users found the traditional type of sports hall floor was too fast for their activity and, although the hall size was designed to accommodate tennis, they were little used or suited to this purpose. This is even though one of the principal dimensions chosen, 120ft length, was based upon the maximum length requirement for a tennis court. The width and runback of the tennis dimensions was based on LTA guidelines that would not have taken account of a very fast floor surface and were based on historical outside court sizes. 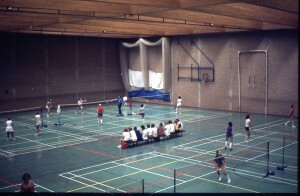 Where a sports hall had no ancillary hall its use for low-space requiring activities was a limiting factor to maximum usage. Table tennis and judo could of course be put in smaller ancillary halls if these existed, however a sport like trampolining which has a small spatial requirement needed the height that can only be provided in the sports hall. A comparative table published by the Sports Council of recorded, programmed sports hall time at key centres in 1968 (and Sobell in 1974) provides an interesting early benchmark. Some of the first centres also included a gallery/range for archery, shooting, and nets for cricket and golf. The Basingstoke and Sobell centres were such examples. Few were used for shooting given the controls needed and golf and cricket demand were both low and seasonal. Thus galleries did not prosper in terms of their use and capital cost and were not usually included beyond the mid-1970s. Following the Hungerford and Dunblane massacres of 1987 and 1996 additional controls of weapons ownership and storage were introduced in Firearms Acts in 1988 and 1997. These made it very difficult for centres to store weapons on site and virtually eliminated the possibility of shooting as a sport in a public indoor centre. Those gallery spaces that have survived have become gyms, dance studios or general-purpose spaces, including limited use for archery. 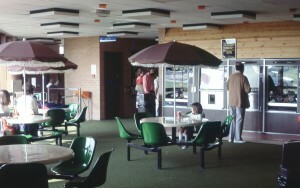 The Fenners Gallery (27m x 9m) at Kelsey Kerridge Sports Centre in Cambridge (1975) is a good example of the transformation of a former gallery/range. Early programming compromises related to the compatibility of various sports. From 1967, for example, the Lightfoot Centre in Newcastle presented a challenge in programming various sports, with its dome roof and circular floor. Len Thomasson, then Manager, adopted a ‘‘segmental plan’ for programming. Mike Fulford, Lightfoot Recreation Officer in 1971, has reflected on programming and booking at the Centre. 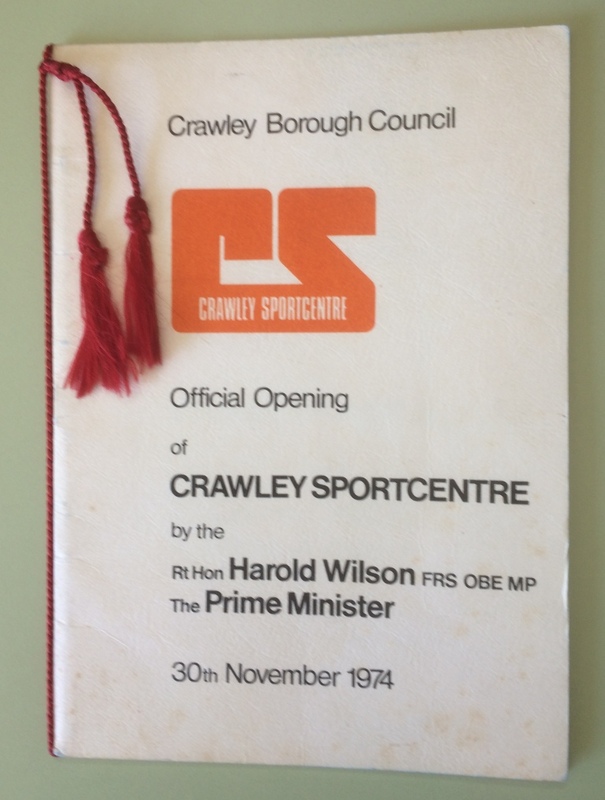 Roger Luke, an early manager and ARM member, wrote in 1974 in ARM News about programming at the original Crawley Sports Centre He covered Council policy decisions and how management met the challenges in its programme planning. Most of the halls from the early days provided ceiling mounted nets that could divide the large hall into smaller units so that more than one sport could be accommodated simultaneously. Harlow being the first, led the way with hall netting. In 1964 secondary halls were a finance bridge too far for Harlow, so many activities started in the main hall. Division of the main sports hall crosswise allowed use, for example, for table tennis or trampolining in a smaller unit of the hall alongside badminton, five-a-side football or large keep fit classes. 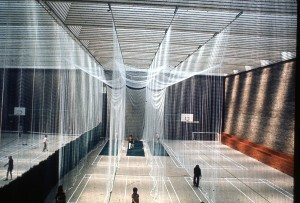 Such netting provided physical and visual barriers (as did 5-a-side walls later). 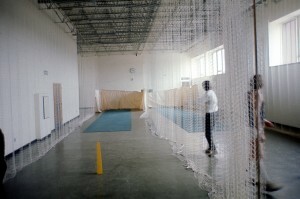 Many of the halls were also provided with netting to create one or more cricket nets. This proved to be physically difficult to match with most other sports. Cricket often needed to be programmed to use the whole hall both from the point of view of loud noise and the general disturbance that the sport created. Cricket nets also required heavy mats that needed significant storage space alongside gym and indoor bowls mats and the like. Where only one or two nets had been provided, they were frequently little used, unless there was a commitment to help cricket clubs in the pre-season period. However, cricket nets did continue to be installed in some sports halls. 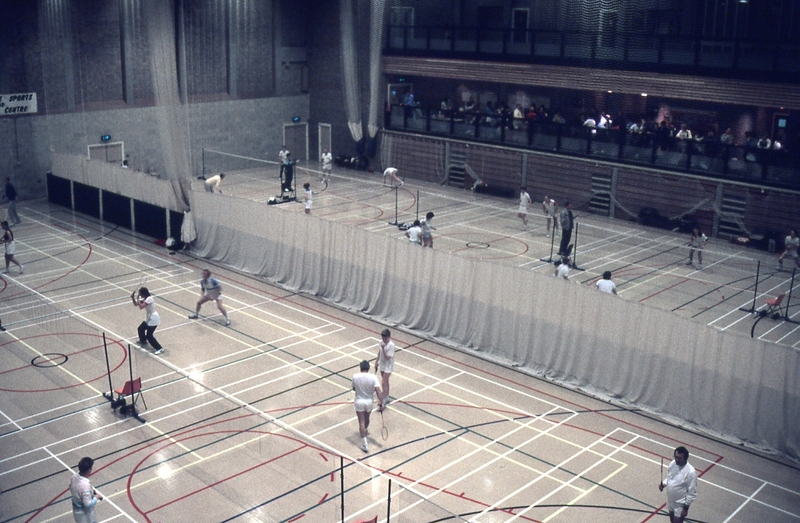 As with range galleries and to lesser extent cricket nets, halls generally ceased accommodating tennis, especially when specialist centres started. Other sports had specific requirements for soft landing surfaces and hall floors were often maple strip or the hard-wearing Granwood type. 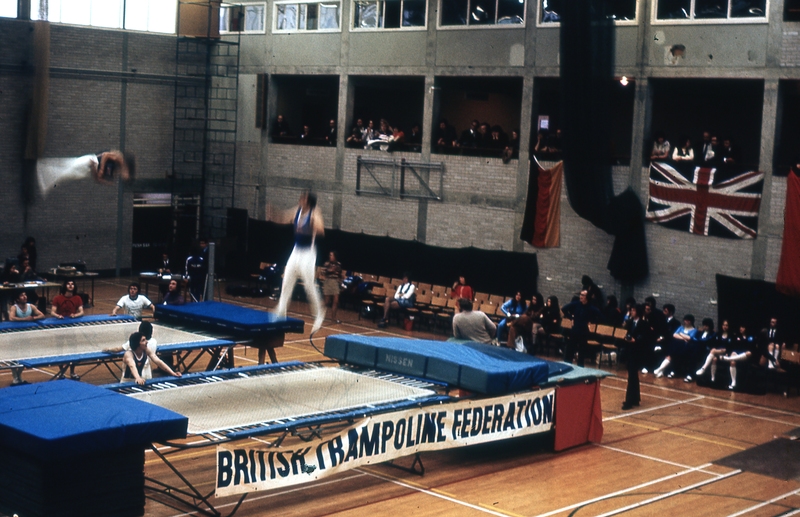 Whilst many sports halls in the early days had included equipment for Olympic gymnastics, training for competitive gymnastics needed the soft-landing areas and the setting up for this was labour intensive. 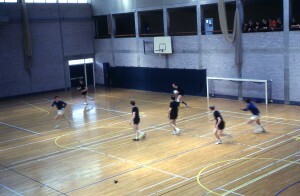 The number of times sports halls were used for such sessions was therefore often limited to once a week. 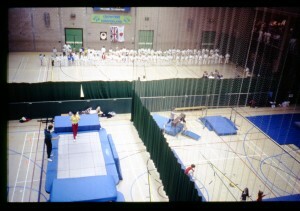 A small number of centres provided a dedicated space for gymnastics, as in the K2 Centre, which opened in Crawley in 2006. 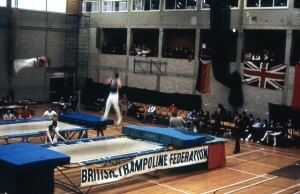 Eventually the development of specialist gym centres with pitted facilities led to the removal of gymnastics from many sports halls. Similarly, most sports halls were provided with judo mats, but the storage requirement, and again the intensive labour required to lay a judo floor, limited use of these mats except where they can be permanently laid in an ancillary hall devoted to this sport. The solution to these problems of compatibility, in most cases, was to provide smaller, multi-purpose halls or rooms for these sports. As more and more centres were opened, interest developed in comparative usage details, and in catchment areas (see Chapter 4.2). This was especially the case where neighbouring centres of different local councils were concerned. 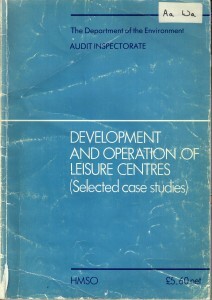 A Sports Council Research Working Paper – ‘The Impact of Neighbouring Sports and Leisure Centres’ [Guildford, Leatherhead, Woking, Farnborough & Elmbridge] suggested that, with not dissimilar indoor sports facilities, it was travel distance rather than any sporting or programming consideration that determined which centre was used. Users of one centre largely switched to a nearer one when it opened. the nature of the use: swimming was given a much higher priority than ‘dry’ sports where most schools had some form of gym or hall, no matter how small. Prior to Local Management of Schools (LMS) this left financial decision making to local education authorities in terms of costs, and timetabling to the head teacher. the willingness of managers to work positively with schools to overcome any difficulties. With the increasing growth of school sports halls, even at some primary schools, apart from joint provision centres school use of district centres not on school sites, apart from swimming pools, has now significantly reduced. 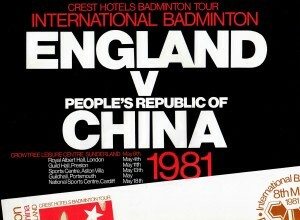 An overview of programming was presented in 1997 from a national survey undertaken by Public Attitude Surveys (PAS) on behalf of Sport England. The two surveys were of 1) users at 155 centres across England and 2) programming and management practice at c.330 English centres. 2/3rds of pool activity was ‘general swimming’. The majority of visits to halls and pools was by a comparatively small number of people. The rapid development of other more specialist facilities for sports since the 1990s, especially outdoor floodlit ATPs for football, has ‘taken away’ many of the sports that originally predominated in sports halls or secondary areas. The Indoor Tennis Initiative has provided even larger halls capable of housing 3 to 6 tennis courts. Specialist free-standing facilities are now found in many locations for gymnastics, judo and table tennis. All these developments have had their impact on programming sports centres – and today the programming and use of sports halls is quite different from that of the first 25 years of centres. Similarly, Veal undertook a Sports Council/SSRC study of ‘Managing Urban Sports Facilities’ in 1979, including reviewing sports hall capacity and programming. It thoroughly covered all the issues and especially highlighted the complexity of different local factors affecting programming, beyond some broad common factors. Studies were also undertaken in Northern Ireland and Wales (Llangefni, Pembroke and Pontypool).All these research studies added to the body of knowledge on relatively new operational issues. The total number of user visits to a centre has always been a focus of attention in the operational management of centres. In the late 1970s and early 1980s there were some extravagant claims made about the number of user visits being achieved by some centres. ARM News examined some of the exaggerated claims and put centre usage into perspective with an article titled ‘Yes, Honestly! (or who’s kidding who in the statistics game)’. The ways in which people use recreation facilities, and the procedures and the systems and the formal and informal social filters they go through, all affect the use of facilities and programmes. Charges for sports centres were also a new and challenging task for the first centres. It is fair to say that at the outset existing outdoor recreation and swimming pool charges, the desire to attract all sections of the community, and then a ‘copycat’ approach amongst local councils as more centres opened, set a common level of charges. So, there was no formula as such, as each new centre looked at others as a guide and council price rises tended to be more sensitive to criticism than private sector. Research has shown that sports and leisure centre pricing over the twenty five years has largely been consistent with the social and service ethics associated with such provision (as per Chapters 3 & 6). An early attempt, in 1973, by the Local Government Operational Research Unit (LGORU) to develop a swimming pool pricing model produced interesting data, but ultimately did not contribute to operational management. By 1998 a report by the Scottish Sports Council on pricing and participation was re-emphasising that, in the context of budgetary squeezes, levels of subsidy had to be balanced against policies of access for participation by all. 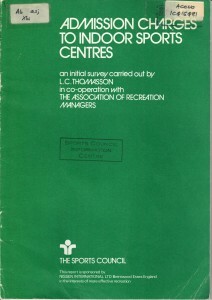 Sports centre charges had received an early focus in 1973 when Len Thomasson, Lightfoot Centre Manager, undertook a very timely survey of charges at 50 sports centres. This was published by The Sports Council with the support of ARM and Nissen. The exercise was very useful at that time, given a lack of available comparative information and was updated by Len in 1978. Then in 1979 The Sports Council updated that report but covered almost three times as many centres and included further analysis such as average and median charges and regional variations. The surveys inevitably showed some variations in pricing for differing centres. For those involved in centres since the early 1970s it was the first time benchmarks had been published. 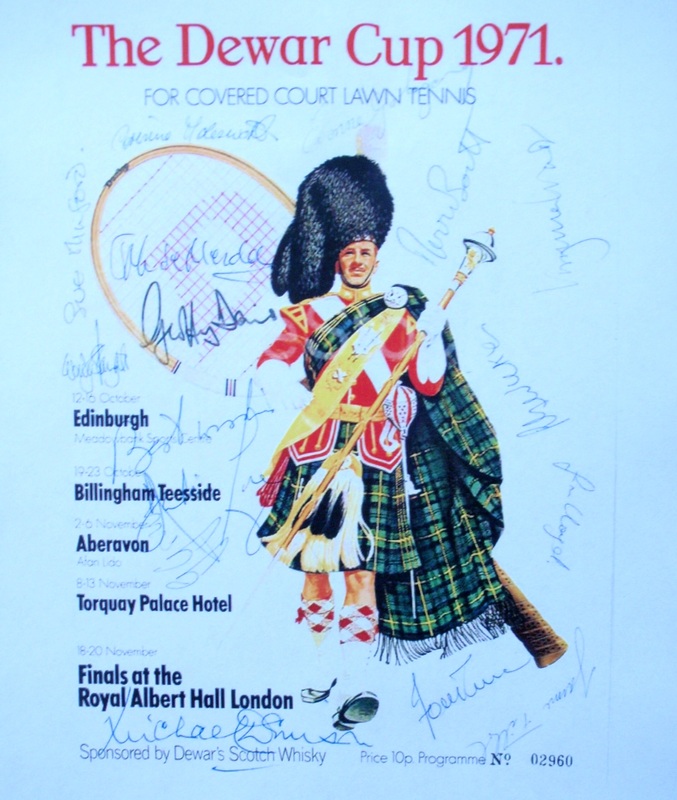 Later, in 1989 and 1990, The Scottish Sports Council published reviews of charges for sports facilities. Over the years the structure of pricing, rather than levels, were more significant, with differing methods of discounting, the use of peak and off-peak charges and centre membership schemes. Centre membership schemes go back to the earliest days of sports centres and have often caused much discussion over the benefits and ethics of such a system. Membership had long been associated with private restricted and selective club systems, such as golf clubs, often with large fees. A yearly membership system with a modest annual fee, as operated by numerous centres, is different. It is non-exclusive, geared to families and individuals in pricing and provides for defined benefits. These include advance booking by phone or in person and a reduced rate of activity charges. In cases it also provides free entry to the building. Thus, they are different to season tickets which normally give unlimited access for a single fee. Not all centres did or do operate a membership scheme. A Sports Council survey in 1977 showed that 56% of centres operated a membership scheme (66% in 1973) and that juniors averaged a fee 54% of the adult rate. By 1977 there was a greater proportion of centres offering reductions to pensioners and people with disabilities, (and some giving ‘over 50’s’ discounts in the wake of an initiative by The Sports Council in 1984 [‘50+ All to Play For’]. This reflected a broadening social outlook at that time. The survey also indicated that an adult would need to make 22 visits, and a junior 15 visits to profit from a membership. 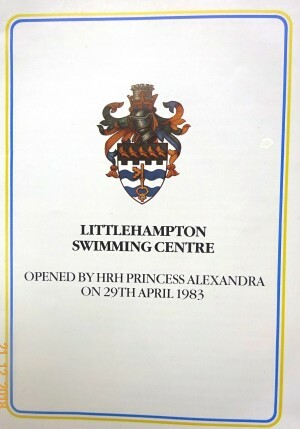 A survey of centres by The Sports Council’s Greater London & South East Region in 1982 highlighted that of 25 centre returns 20 had membership schemes. Most managers reported that their scheme benefited both centre and member, and that both booking and financial benefits were achieved by the member. The biggest advantages of membership schemes are social, administrative and financial. A traditional membership scheme can encourage loyalty to the centre and more frequent participation as well as a potential financial advantage over the year. Ces Lowry, then Manager of Forfar Leisure Centre, and John Woodman, then of Christie Miller Sports Centre, expressed their views on membership in ARM News in 1977. One of the best overviews of membership schemes was provided by George Torkildsen in ‘Leisure Management’ in 1984. 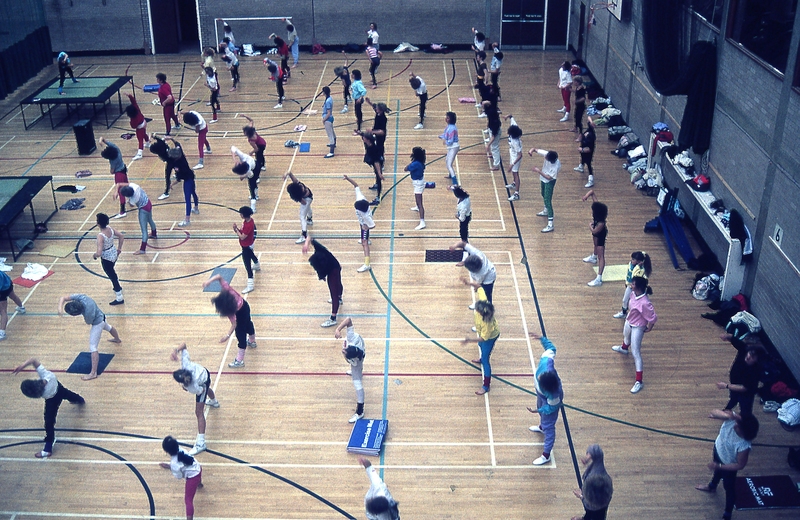 Once private fitness clubs came onto the scene from the late 1980s, with their monthly subscription membership schemes, local authority centres started similar schemes for their newer gym facilities, though the traditional schemes usually continued alongside, particularly for regular swimming and sports hall activities. 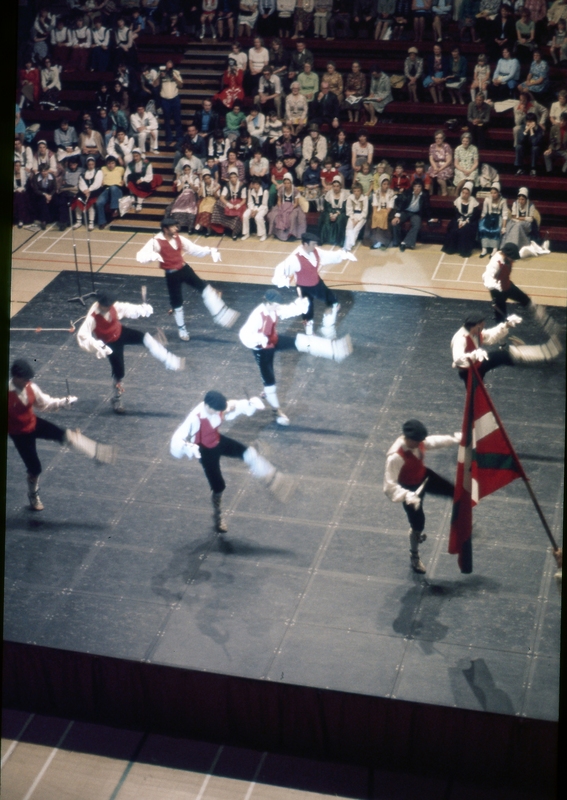 One aspect of sports centre programming that was to the fore, particularly in the 1970s and 1980s, was the range of major sporting & non-sporting events. 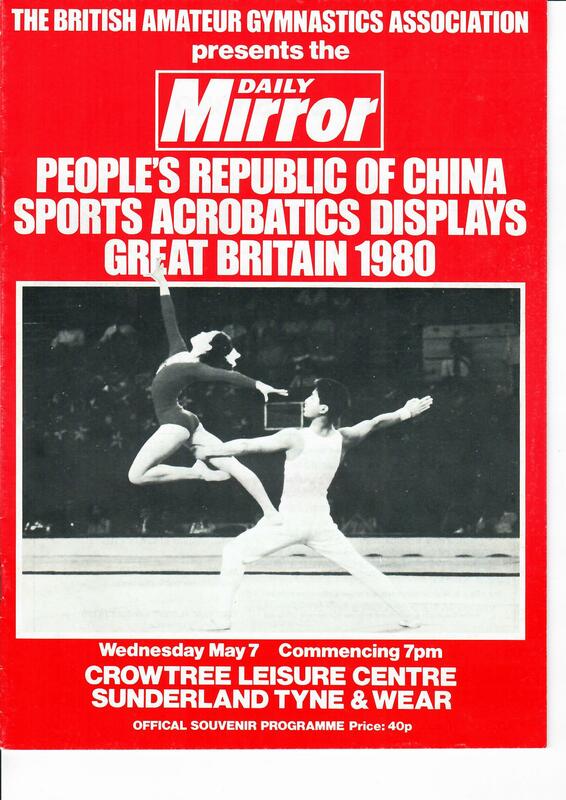 The 1970s and 1980s were probably the heyday for such events. Large sports halls with seating for up to 1500, provided the opportunity for sports governing bodies to stage national and international events. Key sports were badminton, tennis, gymnastics and even snooker. 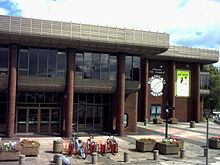 In 1976 The World Snooker Championships were held at Wythenshawe Forum. 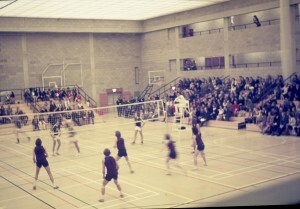 Sports halls also proved to be especially advantageous for local sporting events and competitions right across the country. 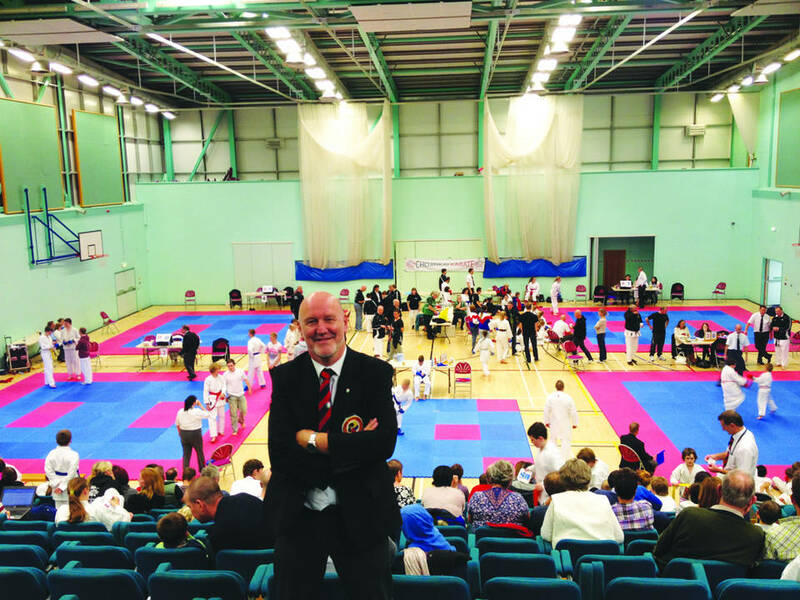 One example of many is the success of karate events at Penrith Sports Centre under the guidance of Doug James. 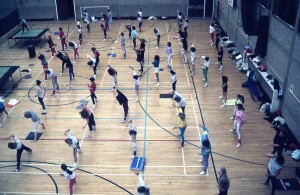 As more attention began to focus on the cost of running centres in the late 1970s and 1980s, some possible financial advantages also began to influence the way in which the sports halls were used. Halls were being used for exhibitions, orchestral and pop concerts, fashion and motor shows, antiques fairs, dog shows and the like. 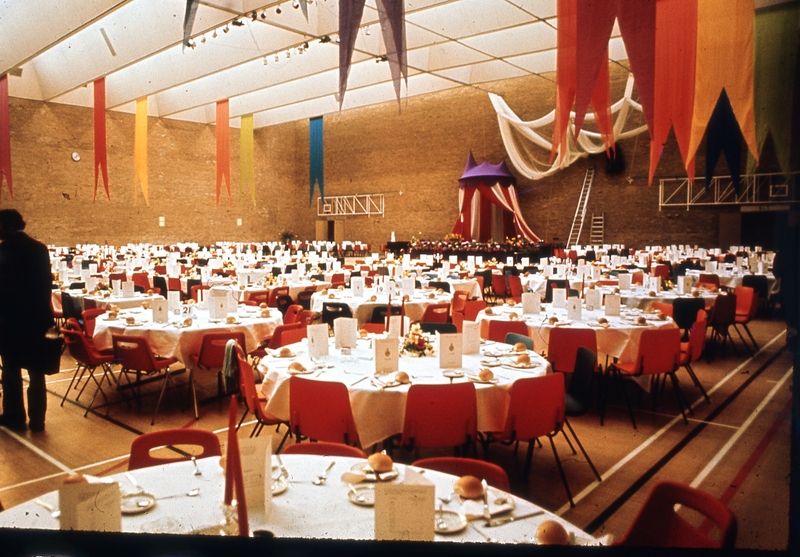 Dinners, including civic dinners, have also often taken place in sports halls (see 5.2.12). Graham Jenkins Manager of Afan Lido (Chapter 2) was at the forefront of the earliest use of halls for entertainment. 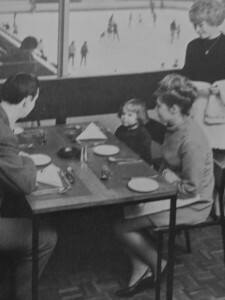 Bernard Warden, as the energetic manager of Bracknell SC, fulfilled the Council’s wishes to host social events, including dinners. One manager in the early ‘70s, David Reed at the Stour Centre, Ashford, sought the full commercial opportunity of the main sports hall and used it regularly at week-ends and during the summer whenever possible for pop concerts, wrestling, exhibitions and animal shows. The arrival of leisure pools, starting with Herringthorpe in Rotherham and Bletchley in 1974, created the opportunity for evening pool parties with effect lighting and catering. Northgate Arena (1977) in Chester was one of many, that held beach parties with Caribbean-style themes. Other centres hosted pop concerts from the 1970s through to the 1990s. They are well recorded in the memories of many attendees. Between 1967 and 1982 Bracknell Sports Centre hosted Rod Stewart, Jeff Beck and Ronnie Wood. 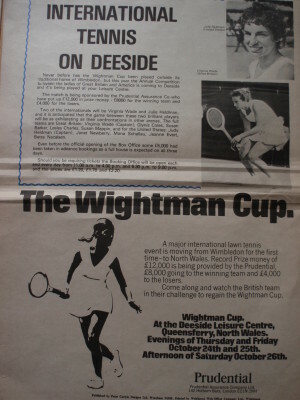 In the late ‘70s and early ‘80s Deeside Leisure Centre was one of the major venues on the tour scene hosting Bob Marley, Blondie, The Clash, Dire Straits, The Police and The Who. In Scotland in 2007 the Irvine Times looked back at 40 years of music and memories from the iconic Magnum Centre. This included appearances by Thin Lizzy, The Jam, The Clash, The Smiths and Chuck Berry. A feature in 2018 by Cheshire News asked the question “Do you remember Northgate Arena’s legendary music concerts? Morrisey, Manic Street Preachers, Ocean Colour Scene and Levellers all graced the stage during the 1980s and 1990s”. In the past 20 years other bigger venues have been developed to overtake the capacity and attraction of leisure centres for such events, although a few centres still appear on some entertainment circuits. Other major sporting and non-sporting events were common across the UK sports centre scene. Billingham Forum converted its ice rink to host Dewar Cup international lawn tennis in 1971 with Evonne Goolagong and Virginia Wade. Bracknell and Deeside were to the fore with national and international basketball matches. Events across the country were reflected by Crowtree’s programme for several decades from 1977, including National Gymnastics Championships (the BAGA rated it number one outside Wembley); SAAB Kings Cup Tennis; international badminton, including England v China in 1981; the Marks & Spencer Fashion Extravaganza; Phillips Electronic Exhibition; Aquarist Festivals; a European Folk Moot; and world title boxing with Billy Hardy. The arguments about-non-sporting events prevailed through those decades. There were programming issues and questions of principle about non-sporting events taking over sports halls. Centres and halls required long hours of opening, and staff that were being paid at higher rates for unsocial hours in the evenings and at weekends, which led to significant expenditure. Non-sporting events had the potential to help finances. However, Gerry Perrin raised some of the vexed questions in his book in 1980 (Chapter 4 – 4.1.8). He said “Many halls are closed to sports use from midday on Friday until midday the following Monday, while equipment is set up for one of these extravaganzas. What started as a daily 14-hour ‘sports’ programme, 7 days a week has often been reduced to a weekdays-only sports involvement. There are probably many who would see little wrong with this position, until they realise that few of these extra-mural activities actually net any real added income, and that the additional staff required to organise, plan and arrange these events add considerably in the medium term to running costs”. If the hall could be better used for non-sporting activities with lower staffing costs, and bring a better financial return than sporting use, there was nonetheless a temptation to move in that direction, rather than just provide for sport. This was often resented by sport enthusiasts, particularly where such use might lead to the cancellation of regular sporting bookings. The reality was that some events brought extra income and publicity, whilst others were neutral in cost-terms or involved extra cost. However the attendances tended to justify the events from a community viewpoint and local authorities welcomed the profile major events gave to a centre and the district. “To make the Centre more acceptable to the community we have to make a good impression on the Council by displaying our ability. Cutbacks are coming, and we have to show off ourselves to the Council to justify our budget. It is part of our philosophy of our usage. We spend for effect – we do improve levels of excellence. There is evidence to suggest that levels of performance do rise after promoting events. We aim to continue to promote events in the interests of staff morale – the staff are beginning to like it. They do like getting involved. We like to be identified with visits from outside. It is good public relations to have successful big events. It puts your centre on the map. It increases the standing of the centre within the community. It allows top class facilities to be used by top class performers. It increases the awareness of the town by bringing in people from other parts of the country – or world. Because we are near to large suppliers of equipment, we are able to borrow essential items without any problem”. Billingham Forum, Wythenshawe Forum and the Stevenage Sports & Arts Centre fully and successfully integrated theatres into their facility mix, as did a few smaller centres including the Medina Centre (IOW) and the Beacon Centre in Beaconsfield. 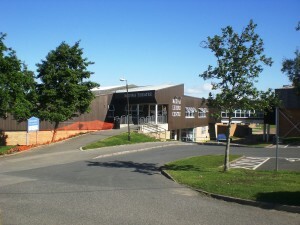 Although sports halls have been well used for entertainment events, it was not until Carlisle’s Sands Centre opened in 1985 that a hall was planned and designed to successfully fulfil a dual role for recreation activities and entertainment events. The Sands Centre proudly states that it is Cumbria and South West Scotland’s premier venue for entertainment. When going to publication there were no known major incidents at spectator events inside leisure centres. These are regulated by licensing regulations which historically were approved on a ‘one-off’ basis; however, these requirements have changed and have become more robust over the years. The larger leisure centres particularly highlighted the issue of the control of non-participants, especially young people. Billingham, Magnum (in Irvine), Picketts Lock and Crowtree, for example, could have up to 2,000 people in the building on some evenings. These centres, and others centres with large circulation and staircase spaces and significant use, needed positive management arrangements to cope with casual, non-participating spectators. This was especially so where there was a membership scheme giving free entry. 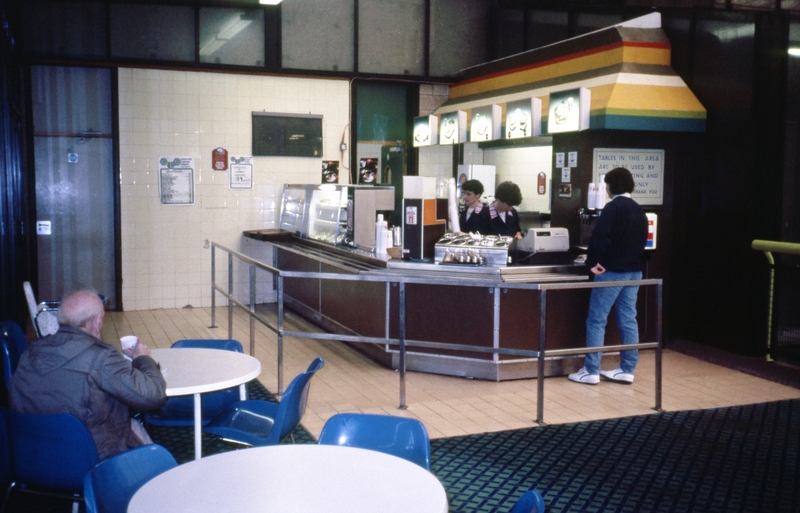 Many large centres had spacious areas that facilitated such use and wanted to encourage young people into the building, given the social purposes of the centres. There were different approaches to these issues, dependent on a variety of factors, including the size of the building and its facilities and the number of activity participants, the degree of vandalism experienced, staffing resources and so on. At one point, Picketts Lock highlighted that young non-participants didn’t like direction, and this led to vandalism, mainly in toilets. Some of the large centres covered the situation in their membership terms and conditions and introduced ‘no-spectator’ evenings when necessary. Jack Fidgett, Manager of the original Crawley Sportcentre, wrote about ‘casual spectating’ in ARM News. To add to the challenges, the design, refurbishment and use of centres also had to take note of the changing social and leisure climate, including that arising from changing legislation and regulations, including the Children’s Act 1989 and the Disability Discrimination Act 1995. 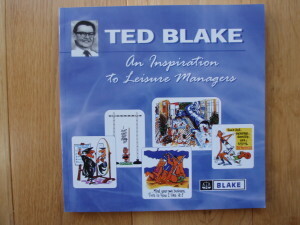 Probably no one did more, using his inimitable style, to convey the true meaning of marketing in sports centres than Ted Blake (Ted Blake – An Inspiration to Leisure Managers: ISBN 1 873903 97 9) with his appearances at the RecMan Conference. The centre users experience was at the root of his marketing approach. Marketing embraces a broad range of approaches and activities, as Ted argued entertainingly, although promotion and publicity have sometimes been seen by centres, wrongly, as the only focus. Often sales and marketing were viewed as the same, and therefore ‘sales teams’ did not really exist. It took the advent of the private sector gyms, with public centres following their lead, for a strong sales ethos to enter the public sector centres. Marketing, in its widest sense, was one of the aspects which local government was slow to appreciate and to provide budget resources. In addition, the first Sports Council Management Awards identified many centres working to ‘marketing’ budgets of a few hundred pounds (or less) when a few thousand would have been more appropriate. This reflected the difference between ‘traditional bureaucracy’ and the ‘commercial flair’ needed for sports centres. 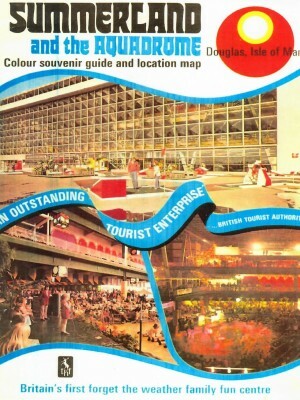 By the late 1970s some of the larger centres had developed more significant budgets to undertake extensive marketing plans, with promotion and publicity including radio advertising. However, progress on this front was slow until the late 1980s. In 1994 The Sports Council for Wales published ‘Selling the Centre: A Survey of Marketing Practice at Some Optimum Use Centres’. The survey was of 11 un-named Welsh centres and concluded that “there were ………examples of good practice”…but there were… “too many examples of marketing weaknesses, which undoubtedly affected the successful usage of the centre by the local community”. The survey identified, for example, that free publicity was important to small centres yet press releases by centres were a rare occurrence and there was little attempt to foster relations with local reporters or editors. Today, with centres mainly operated by trust organisations, the marketing of public centres, with the use of websites, social media, sales teams and special promotions, is generally like the private leisure sector. A very important part of operating a sports or leisure centre is ensuring public and staff safety. Nevertheless, things have sometimes gone wrong. In such situations there can be implications for the centre and its managers that go far beyond the specific circumstances of an incident. Where tragedies and accidents have occurred, the emotional responses together with concerns about ‘legal liability’ and insurance have affected the supply of public information needed by managers to learn lessons. [It must be made clear that any suggested lessons that could be learnt from any events described here, do not imply any wrongdoing by the management or users at the time]. As an example of what a manager may experience, one manager who spent twenty years in centres recorded having to deal with 3 deaths from natural causes during indoor bowls; 2 during strenuous exercise in a centre; 1 child drowning and numerous broken bones from contact sports, especially indoor/outdoor small sided football and judo. Since the first centres were designed, built and used much has changed in terms of regulations, operational rigour and the handling of problems. Certainly, the law relating to health and safety has changed significantly over the six decades of sports centres. One result of this is in the way that the laws/guidance is applied when something goes wrong. Whereas in the first decade of centres the on-site management would have borne complete responsibility for what happened in the building, it is now the case that organisations themselves and senior managers (who may never have visited a centre where an incident occurred) have the potential to be held responsible including a possible charge of corporate manslaughter. The main instances of something going wrong in a sports or leisure centre are summarised here – swimming pool safety; sports accidents; and fire. Of all the elements within a leisure centre, swimming pool safety has received the greatest attention and investment in staff training, qualifications, management systems and design. It is the only element where the Health and Safety Executive (HSE) felt it necessary to be proactive in that they joined with the industry in publishing three publications ‘Safety in Swimming Pools’ (1988 and 1989) followed by ‘Managing Health and Safety in Swimming Pools’ (2003). The main swimming dangers for consideration have been drownings, diving into shallow water and chemical incidents. Only the last of these has the capacity to affect a large number of people at one time. Diving accidents have produced life changing injuries in individuals. Records on the number of drownings in public pools have been maintained by RoSPA. There are no national records on the number of successful interventions by lifeguards. Qualified lifeguards have an important contribution to make as have the application of rules on the admission of unaccompanied children and/or the number of children allowed to be supervised per adult. Even in the presence of lifeguards, drownings have occurred when parental/carer supervision has also been distracted for some reason. In addition to the effects of the human tragedy, the action that follows a drowning may include a coroner’s court, an HSE enquiry, prosecution and claims against the operator and their staff. The new Millennium saw the introduction in some centres of underwater camera and alarm systems. Conversely the introduction of water play features and wave machines introduced some new risks. Regardless of other issues, evidence shows that the risk of drowning (especially of children), though thankfully rare, is reduced by close supervision. All sports carry some risk of injury, not least those in indoor sports centres. Such accidents may result in life changing injuries to an individual, for example a broken neck and paralysis has been known to result from competitive trampolining training. Sporting accidents fall into two broad groups – those that occur during the normal course of sport and those that result from a deficiency in the equipment or fabric of the building. Over the years the development of rigorous procedures for sports equipment, staff training, coaching, and activity in sports halls that carry risks, have all greatly helped in reducing accidents. Most accidents and incidents in sports centres require minimum attention in a first aid room. 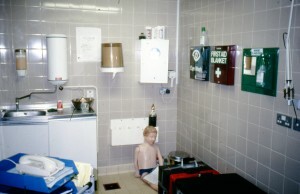 Early centres had limited or no first aid rooms and required conversions of other spaces including storerooms. 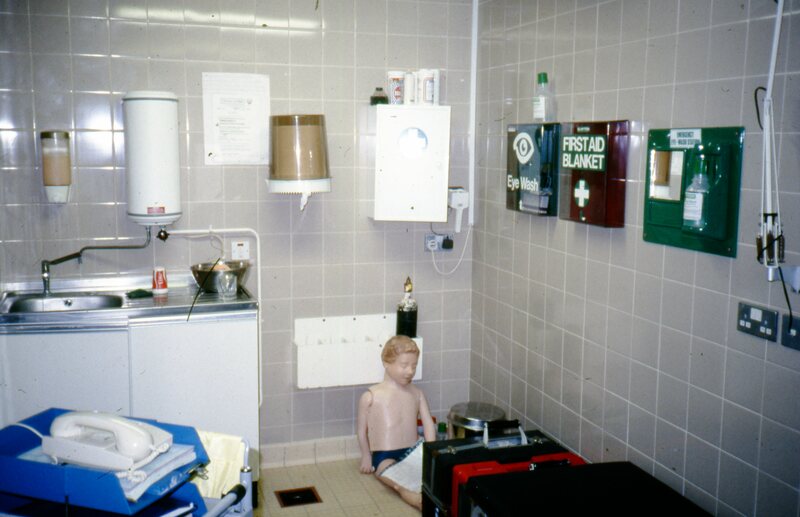 Well-equipped first aid rooms soon became standard in the building specifications. 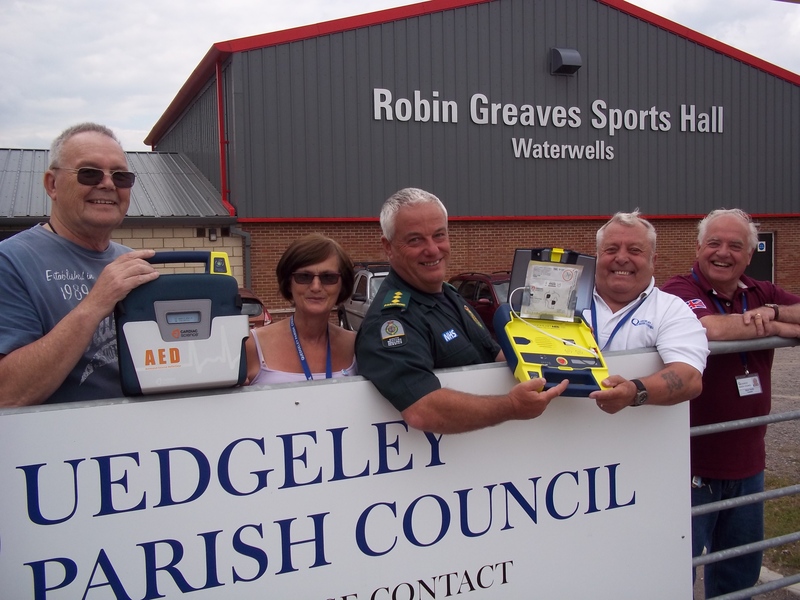 Advances in technology have supported attempts to maintain safety including the availability of defibrillators, and provision of more sophisticated equipment for training to undertake CPR. The public have tended to have an expectation that leisure centre staff are well trained in first aid to be able to manage sports injuries in the early stages. Historically this has meant managing the injured until the arrival of the ambulance service. 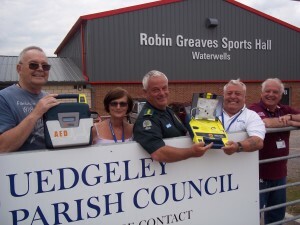 Improvements in technology and first aid equipment have helped this process e.g. various splints that have replaced the triangular bandage. However, in some areas of the country sports injuries are now not classified as ‘a threat to life’ and do not necessarily receive the highest priority when sending paramedics and ambulances. The consequence of this is that leisure centre staff may have to manage a casualty for longer than has previously been the case, something that must be considered in risk assessments and the level of staff training. On the face of it this may appear straightforward but anyone who has had to deal with a footballer with a badly broken leg, on a freezing cold night, on an outside centre pitch, with a wait of over an hour for emergency service support will recognise the issues. In any building, fires can and do occasionally break out and leisure centres have provided no exception. Indeed, there have been quite a number of leisure centre fires, some of which have turned into horrific disasters. Whilst there are no national statistics available, since the introduction of the internet, incidents involving fire are posted online by many fire authorities, and the national media usually reports leisure centre fires. Anecdotally the most frequent sources of sports and leisure centre fires have been sauna suites; incidents when work was taking place on repairs/improvements; vandalism; and accidents (particularly in the period when smoking was permitted in public buildings). Public leisure centres are subject to detailed regulations in relation to fire safety including ‘means of escape’, firefighting equipment, alarm systems, as well as design and choice of equipment and furnishings. During the first two decades of sports centres fire authorities and chief fire officers had direct and significant influence and ‘final say’ on fire facilities and systems and the links to the public opening of the centre and to operating the building generally. Subsequently the role of fire officers changed to a purely advisory rather than executive role. Historically some imagination was required in dealing with fire officers in relation to early sports facilities, for example amendments to the design of push bar fire exits for 5-a-side football in sports halls. Two major leisure centre fires established benchmarks for future design, regulation and management of leisure facilities. On the 2nd of August 1973 there was a major fire at Summerland on the waterfront at Douglas, Isle of Man. Summerland was not strictly a leisure centre in the sporting sense but rather a family entertainment centre aimed at tourists, designed by Gillinson & Barnett, with the capacity to hold 10,000 people. The fire had been started by 3 boys smoking in a small adjacent disused kiosk. The kiosk caught fire and collapsed into the building. The resultant fire led to 50 people dying and 80 seriously injured. The public inquiry report that followed had 34 recommendations and many lessons for all public building operators and managers. 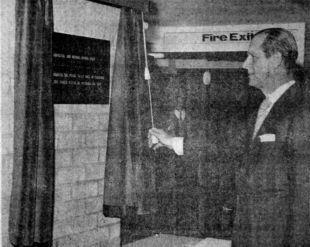 A second fire tragedy occurred at Maysfield Leisure Centre in Belfast on January 14th, 1984. Six people, including two children, died making it the worst loss of life in a sports centre fire. 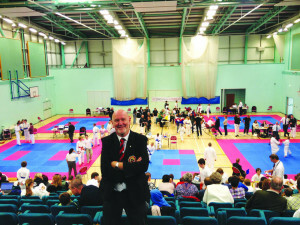 The fire occurred on a Saturday afternoon when a regional judo event was taking place in the sports hall. The fire was started maliciously, it was thought, in a pile of foam rubber gym mats. The consequence of the fire was that smoke and fumes from the mats led to the deaths and injury. As a result, the hazard was subsequently tackled nationally by seeking to enforce storage of mats in separate fire-resistant stores, providing automatic smoke detection, and making the mats more resistant to ignition. There were also lessons regarding other storage, especially in corridors, which had also contributed to death. The matters were taken very seriously in the sports centre world and the Sports Council convened meetings to promulgate the inquiry results and circulated TUS Data Sheet 47.1 (The Fire Hazards in Sports Centres) in January 1985. All managers and staff of public buildings, especially sports and leisure centres, should be aware of the details of the Summerland and Maysfield fires. They are also a very useful case studies for staff training (information also available through internet searches). Summerland images: left to right to view and click to enlarge for captions. 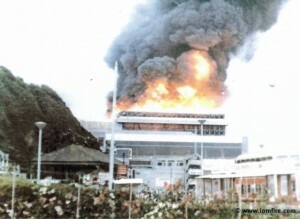 Fires at the Crystal Palace National Sports Centre in 1979, 1981 and 1983 involving the same kind of gym equipment as Maysfield. Afan Lido – two fires (see Chapter 2). Edmundsbury Leisure Centre in Suffolk was destroyed by fire twice:- in 1980 (arson) and 2004 (electrical fault). Goshen Leisure Centre, Bury, suffered a fire in 2007 caused by arson. The sports hall was gutted. Abbey Leisure Centre in Selby suffered two fires in 3 days due to electrical faults in 2002 but was then destroyed in 2012 as a result of another fire that started in the sauna (after a £1.1M refurbishment in 2011). The new Selby Leisure Centre opened on the same site in 2015. Penarth Leisure Centre was destroyed by fire in February 2014 after a fire in the sauna. Riverside Leisure Centre, Exeter – a fire ripped through the swimming pool and sauna in 2015. Pendle Leisure Centre suffered damage after a fire started in the sauna in 2017. Highbury Leisure Centre suffered a major fire in September 2018 as a result of contractors undertaking roof works. Related dangers include the storage of equipment in corridors and in front of doors designated as fire escapes. This caused one of the deaths in the Maysfield fire. Such risks can still occasionally be seen in some centres! Other minor and major incidents have been as a result of technical problems, usually with pool plant leakages or failures. Over the years the development of rigorous procedures for fire, evacuation and emergency equipment, have helped to minimise the number of times ‘things go wrong’ in sports centres – but sometimes they do. By the mid-1970s, with around 260 sports centres established, the miners strike in 1972 and the arrival of the 3-day week in 1974 focused more attention on the energy and other costs of running centres and this continued through the decade. It could be said that some of the costing realities were beginning to catch up with the early euphoria of provision, though this varied from council to council. The net operational costs of swimming pools were higher than sports halls. Generally, low cost buildings, high maintenance and management costs and community sensitive charges were seen as the root causes of high centre deficits. In Chapter 4 the work of Mike Fitzjohn and Malcolm Tungatt (ref: ‘Sports centres – research on their use and users and its impact on policy, provision and management’) records that in 1975 The Sports Council piloted the collection of ‘Base Management Data’ with a view to developing a national database of use and financial information. Working with centres in the North West it was ultimately concluded that such a system remained a vision and not a reality. It should be remembered that this was all before the days of mass computer use (‘data transfer’ required a weekly visit!) and, given the recent reorganisation of local government, even centres within the individual Authorities were using different tills and different systems, often on paper, for bookings, recording use data, etc. So the development of reliable revenue data essentially fell back on individual Local Authorities, exchanges between their officers within their professional bodies and Regional Sports Councils, and the annual statistical series produced by the Chartered Institute of Public Finance and Accountancy (CIPFA). The last of these had considerable problems of definition, and there was often therefore a lack of uniformity in the ways different Local Authorities collected and presented data. Many leisure professionals were doubtful ‘like’ was being compared with ‘like’ in these exercises, and often fell out with their Borough Treasurer! Starting from the 1970s, other studies and reports started to focus on centre running costs. The Sports Council reviewed Sports Centres Running Costs in 1975 at six multi-purpose sports centres. This was useful analysis at that time, given available information. The subject also attracted some academic studies. Nonetheless, as the costs of running centres came more sharply into focus at that time, attention focused particularly on energy costs [as the energy cost crisis came up on the horizon], and on staffing costs. The latter were greatly influenced by the national terms and conditions for local government employees, which caused significant additional costs for shift, evening and weekend work. As stated, CIPFA statistics were often at the heart of sports centre income and cost comparisons. The actual structure of sports centre budgets and costings also became an issue. Council’s apportioned their central administrative costs across their functions. This did cause much concern amongst managers and directors of leisure & recreation, who felt that centres were either carrying costs not related directly to their building or operations or being charged too much for the actual central services received. This was a moot point. If there were any debt costs for the building, these were not usually taken into account. All this led to calculations of the percentage recovery of true centre operational costs by income becoming an important benchmark and focus for managers. 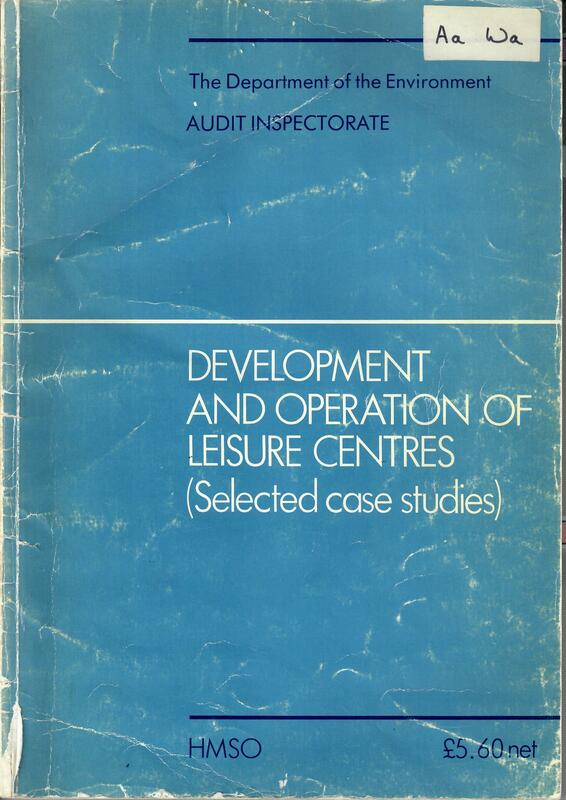 The Audit Inspectorate of the Department of the Environment commissioned Pannell Kerr Forster to undertake a review of sports centres in 1982 [Development and Operation of Leisure Centres]. 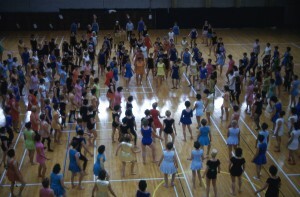 The second part of the research addressed the operation and management of “leisure centres”. One of their reference points was CIPFA 1982/3 estimates which indicated national gross expenditure on the local authority leisure centre service was £280M [£937M at 2018 values] and £160M net [£532M – 2018]. Interestingly, it recorded that those centres within a leisure and recreation department, where there is a direct line of experienced authority, responsibility and communication, showed better performance than those appended to an unrelated functional department. The review supported the ‘percentage recovery’ approach to financial accountability. Some competitive tendering for sports centre operations started from the late 1980s and quickly accelerated when the Government introduced Compulsory Competitive Tendering in 1992. The process was predicated on the benefits of private sector management and the likelihood of financial savings for local, and indeed therefore, national government. As we see fully in Chapter 7, in the 30 years since the late 1980s, significant changes to the management and operation of centres have followed. The ‘down to earth’ practical realities of operating a sports and leisure centre in the 1970s were lightheartedly summarised by Bernard Warden (Dacorum) and Roger Quinton (Leatherhead). Whilst progress was slow over the first twenty years, advances in technology have come to shape the modern operation of centres. Those involved in centres in the 1960s and ‘70s may well recall receptions with first, swimming bath/cinema style automata tickets, and then NCR cash registers. These early systems were soon superseded by more sophisticated Omron machines before the advent of computers. 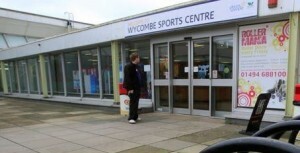 Some early attempts at building access control systems were unsuccessful, such as that at the original Wycombe Sports Centre. There have been significant advances in electronic, card-operated access systems, though not yet widely used. Progress has led us to websites, mobile phones, internet bookings and customer feedback systems by text. Marketing has also benefited, as we have said. The technology behind building designs and plant using Computer Aided Design (CAD) has led to many cost saving innovations on an ongoing basis, especially on maintenance and energy costs – though there have been some exceptions to the rule! 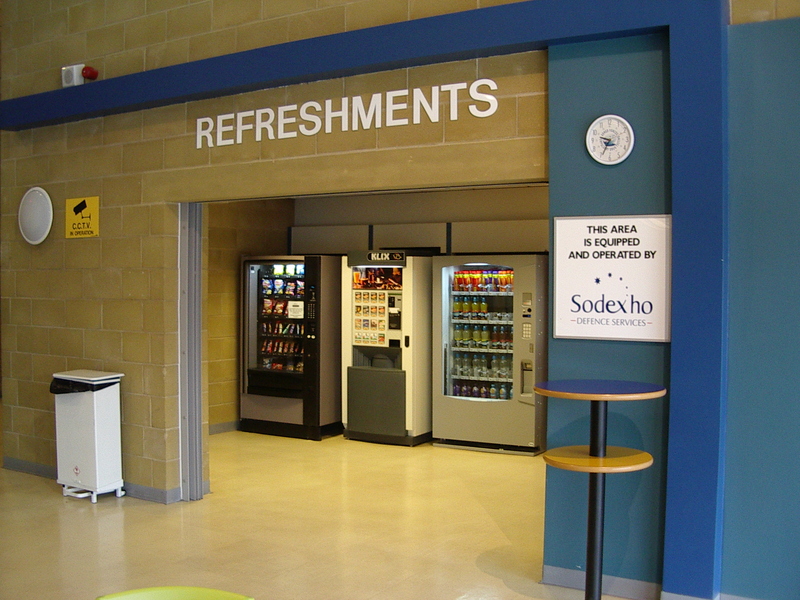 Catering and licensed bar services have played a significant and varying role in the operation of sports and leisure centres over the decades. Refreshment facilities provided in many of the public centres in the early 1970s (e.g. Lightfoot Sports Centre and Stretford Sports Centre) were extremely limited. They relied on a couple of vending machines and possibly an occasional ‘tea bar,’ that served on to a viewing balcony. There was little in the way of social spaces or specialist catering facilities. When considering capital grant aid to the building of a new centre the Sports Council had discounted the cost of providing any social or catering provision on the basis that their objectives were limited to sport. Similarly, in jointly provided dual use centres on school sites the ‘education partner’ would use the same logic. In the early joint use centres, it was extremely difficult to convince the magistrates to grant an application for a licensed bar (for example, such problems at the joint provision centre, The Grove Sports Centre in Nottinghamshire). Furthermore, licensing law at that time restricted admission to licensed premises by young people and families. By the mid-1980s some of these joint provision difficulties were being overcome. In contrast at that time, voluntary sports clubs and some community groups (e.g. Ponteland Sports Centre) closely aligned their sports facilities with social spaces and licensed bars. The bars in clubs generated funds that supported the sports activities and developed club loyalty (e.g. Norton Sports and Social Club, Teesside – with football, hockey, cricket tennis and later squash). A club licence was less restrictive and voluntary labour from club members kept costs down. Experiences like this were big factors in building an argument for providing social space and a bar in the new generation of publicly provided sports centres. There was also an expectation, not always fulfilled, that the catering and bars would make a good financial contribution to the sports centre. The other big factor came from a change in the Sports Council’s position. Tasked with increasing sports participation amongst the non-participant segments of the population they moved to actively encouraging the provision of good quality social spaces supported by catering and bar services (as well as a higher standard of finish and interior design throughout the centre from the changing rooms to the reception areas) as a means of achieving this. Sometimes the first bar and catering facilities were done well but often they were not! When it went wrong, it was because the design decisions (size, geographical location, position in the centre, projections of throughput) were not related to a realistic appraisal of the customer demands in that location. Most of the first centres operated the catering themselves. 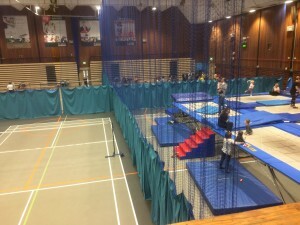 Basingstoke Sports Centre was one such example. There were very few fully-fledged restaurants provided in the first centres, but good cafeterias were provided subsequently in most larger centres. 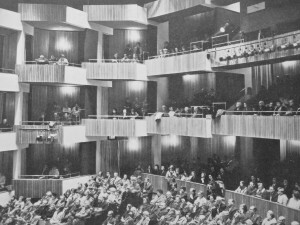 Billingham Forum was an exception where in the late 1960s, the theatre provided clientele for a fully serviced restaurant. The sports centre catering scene has gone through several phases over the years. The biggest determining factors have been social and lifestyle changes, the actual facility provision, changes in licensing laws and the fundamentals of catering quality, service and profit and loss. There was a strong trend to separate cafeterias from licensed bars. Separation at that time had a lot to do with smoking, legally permitted in the bar but not encouraged in the café. Bars rarely served food and generally opened in the evenings only. In the 1960’s and ‘70’s licensed bars were very popular with male squash and five-a-side football players, who represented a large proportion of evening sports users. In the 1970s local authorities did start to recognise the potential sales opportunities offered by leisure users and sought to optimise the catering income through good design and sensible location. The ‘catering spend’ in a leisure centre is a discretionary purchase. Peter Clark, a leisure catering expert, says data and experience shows that situating a café or vending bank away from the main exit reduced the potential income by 30%. Locating them at first floor level reduces it by a further 30%. Over the years the ‘dwell time’ for catering in community-based centres has largely meant a focus on snack foods, chips, cold and hot drinks. The choice between centres operating catering directly or contracting it to a specialist company has from the early days been a significant strategic, operational and often political choice for centres. 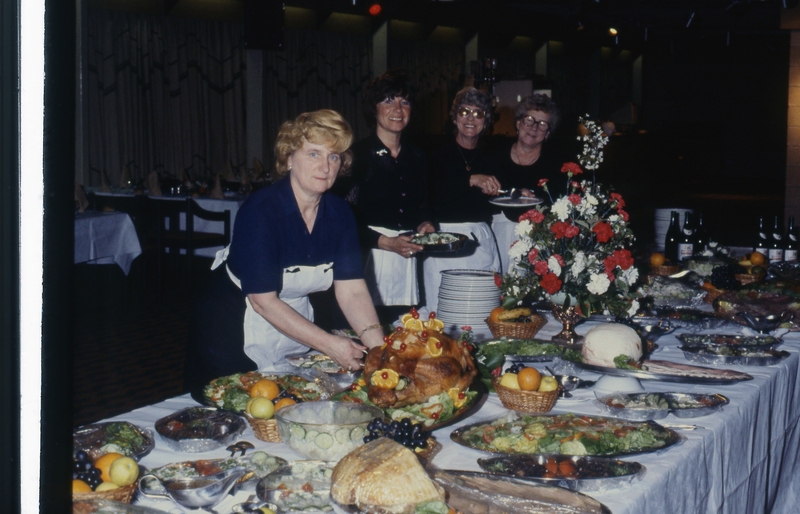 When the first leisure centres were opened some of the established contract caterers at that time tendered for and won several multiple leisure centre contracts. By the early 1970s most had withdrawn for commercial reasons. Then several ambitious national contract caterers re-entered the leisure centre market. 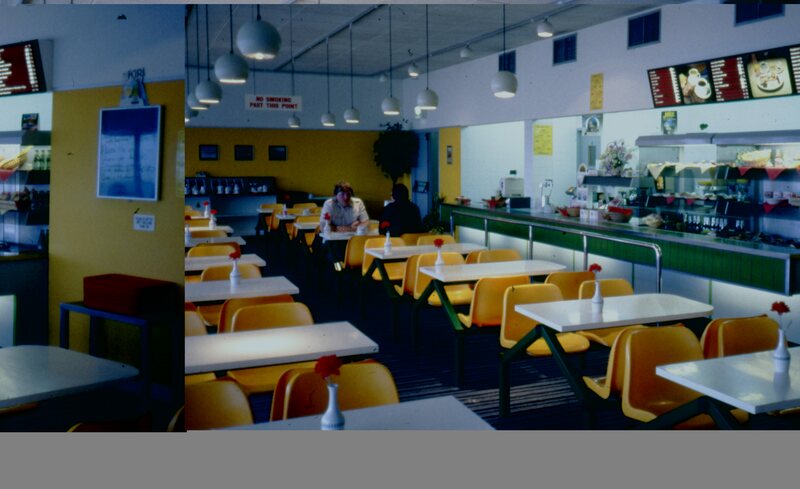 After 1972 SLF (Sports and Leisure Food Group) built up a portfolio of leisure catering concession contracts. Another national concession caterer, Caterleisure, entered the market in 1976. From the perspective of local authorities, concession contractors offered a good deal because a specialist company had specific knowledge and experience; it guaranteed a sum which was usually augmented if the income rose above a certain level; had access to purchasing discounts; and could move in extra resources to cover holidays etc. ; and the centre had no direct involvement with the management or control of the business so was not subject to the direct scrutiny of their auditors or elected members. The advantages for the catering concession companies were that they operated cash rich businesses with very little credit sales; the capital investment was very limited, and, in most cases, they were taking over businesses that were already trading. The disadvantage was that there could be a clash of interests between the service that the centre expected and the financial outcome for the caterer. Alternative forms of contract were tried such as where a management fee was paid to the caterer for operating the service required by the centre with all the surplus income being returned to the centre. The advantage of this form of contract was that the centre was able to retain overall control over the service (albeit that it might be advised by the caterer that a particular request might lead to a reduced financial return). The key to success was in motivating the caterer over the period of the contract. An important factor was the ‘carrot’ of contract renewal for businesses that were working to increase their market share. 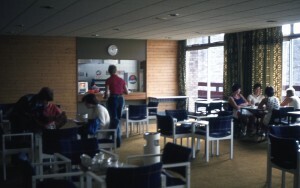 Nonetheless, many Councils in the 1970s did still operate their leisure centre’s catering on in-house basis. One such large-scale example was Crowtree, which in 1980 achieved catering, bars and functions turnover equal to over £1m at 2018 values. (see ‘A Question of Balance’ seminar paper). 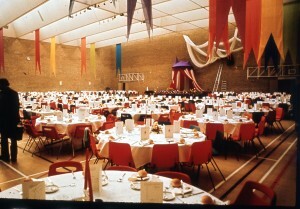 Originally there was pressure from local authorities to organise large events, with catering, on Saturday nights in the main sports halls. The arrival of leisure pools offered another opportunity in the form of evening pool beach parties with effect lighting and catering. 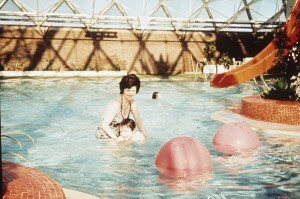 There were many successes in the centres with leisure pools. However, various operational problems and programming conflicts meant that generally sports hall and pool catering events were never fully or extensively successful, even though they gave the centre a good local profile. In the leisure centres themselves attitudes, opinions and habits were changing. 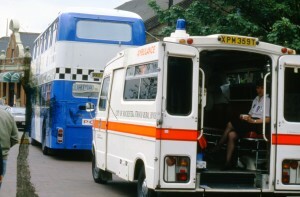 Through the 1970s and into the mid-1980s government had been increasing the focus on drink driving through tighter legislation and awareness campaigns. Separate licensed bars in leisure centres had all but disappeared by the new millennium and licensing law allowed bars to be less ‘separated off’. 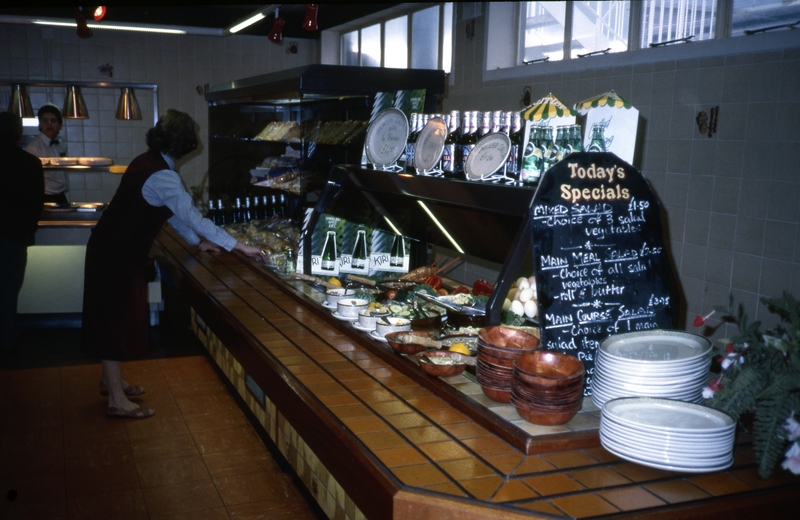 Early in the 1980s Midland Catering, a management contract caterer, built a portfolio of over 60 catering contracts in leisure centres. The management contractor’s core business was different to concession catering in that they charged the client a fee irrelevant of returning a profit. Their culture and their systems did not help them to understand the business and they had withdrawn from the majority of the 60 centres within 18 months. 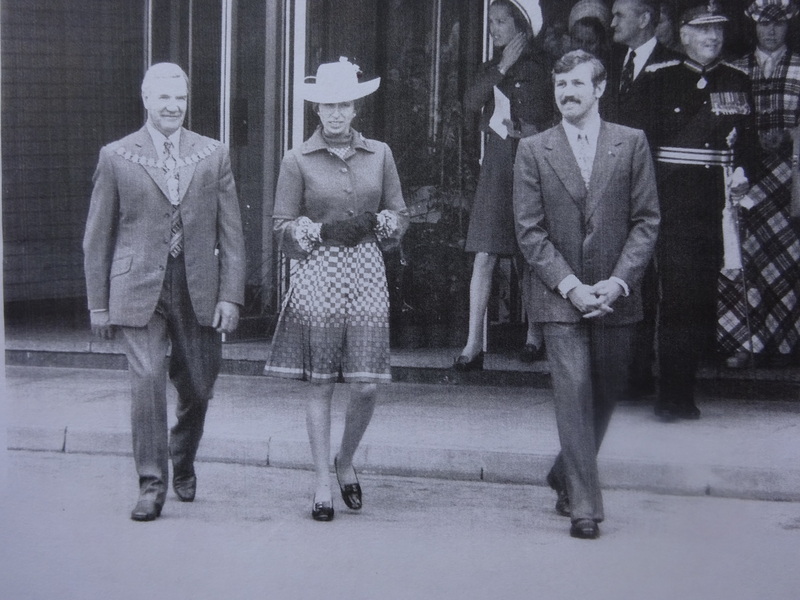 The election of a Conservative government in 1979 had indicated a major change in central government policy to the operation and management of what were officially designated local services. 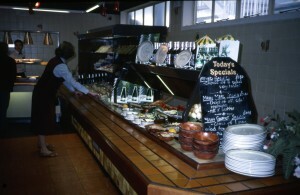 The Government did not consider civic catering as being an essential service and compulsory competitive tendering entered the civic catering market in the 1980s, as it did the sports centre scene, as set out in Chapter 7. Through the 1980s and 1990s political and social changes reshaped the hospitality industry in general and leisure centres did not escape their effect. Leisure Centre users’ expectations were also being raised as the commercial sector developed their products and services and spent money regularly re-furbishing their facilities in the catering sector generally and within new, privately operated sports clubs (e.g. 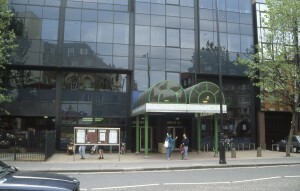 David Lloyd Centres). 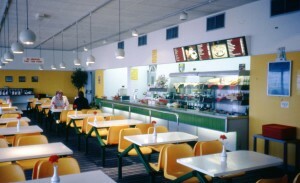 By the early 1990s, on the back of Compulsory Competitive Tendering, SLF and Caterleisure operated the catering in more than 80 leisure centres across the UK. Because the majority were short term contracts, over the period both companies needed to seek other contracts, preferably of longer length. As the companies expanded into other sectors, leisure centres became relatively less profitable than the other contracts that they were winning. Consequently, such companies eventually stopped trading in Leisure centres completely. As the general public has become accustomed to eating out more regularly, demand and fashion has driven the hospitality offer into some more specialised markets. With the arrival of the modern ‘coffee culture’ customers have been prepared to pay higher prices for a quality product served in pleasant surroundings. Many centres have now pursued this facility and branding approach in their catering operations. The ‘coffee culture’ has meant that centre catering has followed the pattern and adopted concession type arrangements for brands. One example is Costa Coffee at The Spectrum in Guildford. The move towards’ healthy eating’ options, especially in joint provision centres on school sites and wide pressure for a holistic approach to healthy living is restricting the commercial potential for some forms of catering in the short term (e.g. 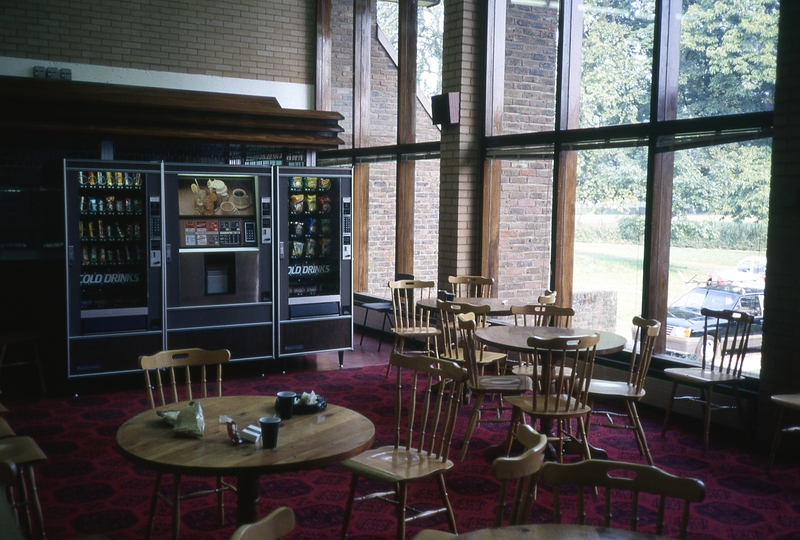 removal of chocolate and sugary drinks from the vending machine offer and chips from cafes, especially those operating on school sites). With the main catering concession companies withdrawing from the sports and leisure centre market by the Millennium, several smaller regional based companies have entered the sector on a similar contract basis to the original concession catering companies. Some of these companies are having success in winning business from individual centres and some of the smaller, developing leisure trusts. However, the creation of local and national leisure trusts has reduced the overall number of centre catering contracts being put out to fully open tender. Overall, centre catering has come a long way over the years – in time and hopefully quality. However, the marriage between a sports service and a catering service in a publicly provided centre remains a difficult one to get right! The seeds of the early activity for building developments and operations grew on virgin soil. The same was true for management and staff appointments over the twenty five years. It was not insignificant that George Torkildsen, the first manager of a UK indoor sports centre, was recruited from physical education teaching. 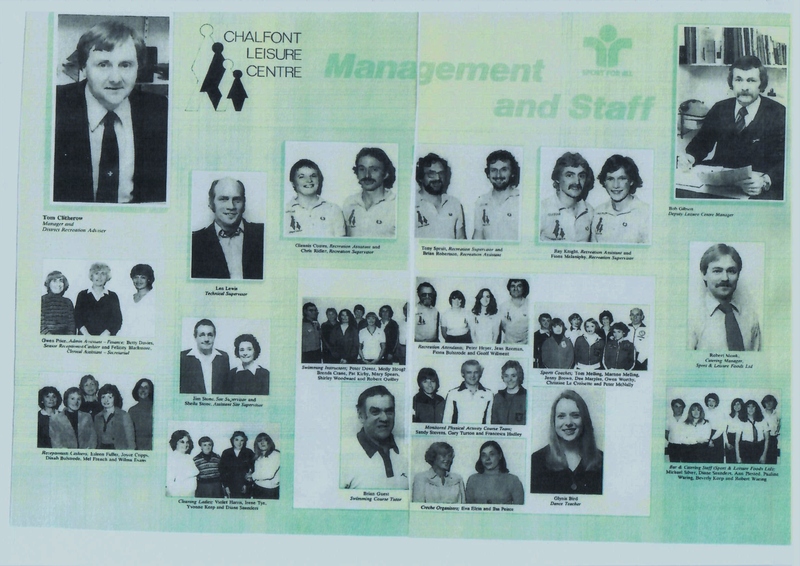 The PE fraternity was to provide a very high percentage of the centre managers, assistant managers and recreation officers over the first decade or so, including, logically, those for joint provision centres on school sites. This reflected the emphasis at that time on sport and coaching and the practical sports training and knowledge of PE teachers. This ‘education’ source also fitted with the need for staff training and pre-opening planning. The other two main recruitment sources were from the existing local government baths management structure, with the Institute of Baths Management well established since 1922, and from the armed services, especially from officer and physical training sources, with their potential leadership and sporting skills. Where centres included a swimming pool, if an IBM member (qualified by pool exams) was not selected as Manager, almost always one would be selected as deputy or assistant manager, such was the importance of the technical pool management. 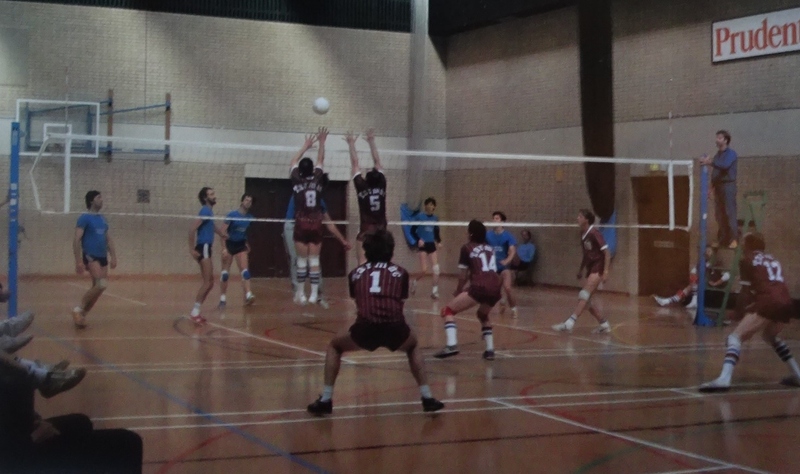 As a new sector, sports centres were very attractive to potential employees – with numerous, shiny new buildings and a high profile on the sports scene, especially in the 1970s and 1980s. A vast management recruitment process unfolded very quickly, in keeping with the rapid progress on building numerous new centres. It also initiated an infant professional organisation, the Association of Recreation Managers (ARM), focused initially on centre management. Of operational significance through the period was the National Conditions of Service for Local Government staff. Up until the 1970s these Conditions of course were largely geared to 5-day/week office hours operations, apart from swimming pools and libraries and the like. In the 1970s employees were either weekly paid manual employees or monthly paid officers. The two groups had separate, very detailed, conditions of employment, negotiated nationally with largely different union representation. There was also a complexity to the national scales and different councils assessed the grade for centre posts differently. Thus, a manager post in one centre could be graded higher than for a virtually identical centre with a different council. The basic officer scales were organised in bands. There were five APT bands (Admin. Profess. and Tech.). Clerical assistants would be on 1 and 2 with a manager typically on 4 and 5. All these grades could attract a variety of unsocial hours pay rates thereby creating a differential problem with the next bands up – SO 1&2 (Senior Officer) and PO1&2 (Principal Officer), grades which did not usually attract any enhancements. Consequently, AP5 plus enhancements was about the same as SO2 without. A very large number of centre staff became involved in ‘unsocial hours working’ – evening, weekend and shift work, which therefore entitled them to enhanced salaries and wages for such hours. For most centres this was a significant cost and the basis of much discussion and negotiation between managers and unions. Job descriptions were always detailed. Originally the whole staff structure for a new building with a function not seen before had to be worked up completely from nothing, bearing in mind that the early centres were not recruiting from an established job pool of experienced skilled staff, except where swimming pools were involved. Quite the reverse. Virtually none of the employees in the early centres had any prior centre or necessarily sports knowledge at all. 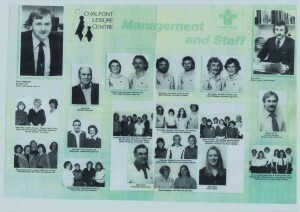 The originality of sports centres meant that staff were recruited from a wide range of other work sectors. Staff were usually chosen because they had a good job record and sometimes were able to offer an interest or skill in a particular sport. One manager, recruiting in the mid-1970s, said that his first two duty managers were a local football referee and an ex-prisoner of war who knew how to organise manual work and had an interest in basketball. Nearly all the rest of the staff, he said, were starting from scratch for centre duties. Administration, reception and maintenance staff were recruited widely, including, he said, from supermarkets and power stations. Where centres had a pool, a lot of men and women who had been keen on swimming, perhaps in their younger days, and had a life-saving qualification, were attracted into centre employment. 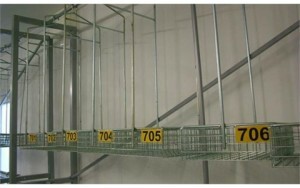 Rotation of staff across wet and dry facilities was advantageous to both staff and centre management. Where pool staff were being moved from an old pool closing to a new wet and dry centre, agreeing recreation assistant duties across both aspects often required negotiation with staff and unions. The development of shift systems that worked best for centre operations and staff, was important. 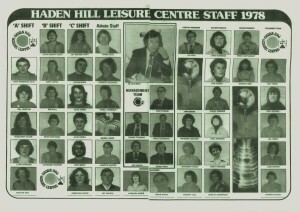 Typical centre staffing structures are reflected by that of Chalfont and Haden Hill Leisure Centres. 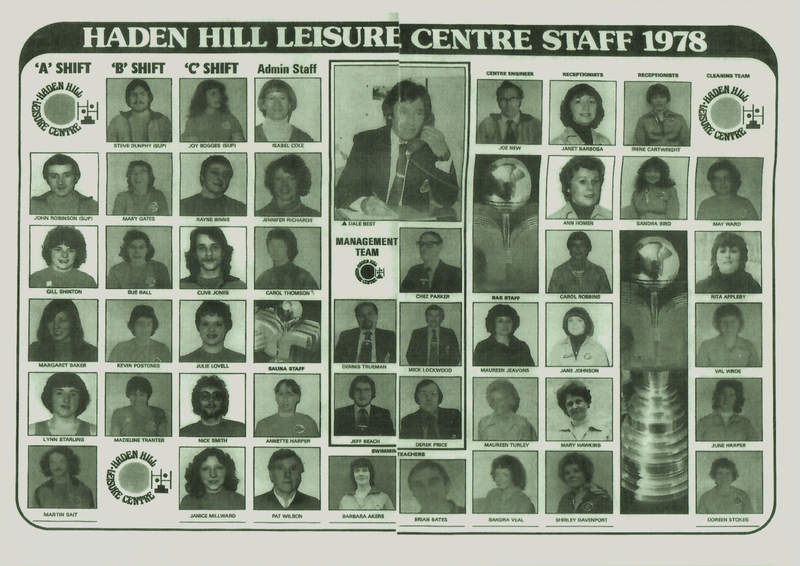 As Chapter 6 demonstrates, the rapid explosion of manager, assistant manager and recreation officer positions, together with all the other staff appointments, was a very evident indication of how quickly centres were developing and the centre employment scene expanding, particularly during the period from 1973 to the late 1980s. Later chapters will review more recent developments affecting the operational management of centres. As we see in later chapters, the operational management of sports centres today is now largely in the hands of leisure trusts, large and small. Whilst they work to contract terms, they have greater flexibility and enterprise, than many managers had in the past working directly within local government (especially in the field of employment, pricing and marketing).